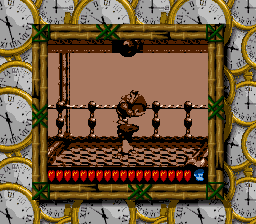 Donkey Kong Country breathed new life into the aging Super Nintendo at a time when gamers were looking to the future of 3D possibilities. 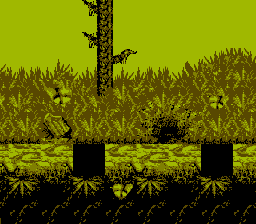 Critters with life-like animation roamed gorgeously exotic pre-rendered backgrounds, giving the impression of an exciting new dimension to Donkey Kong’s old-school platforming action. 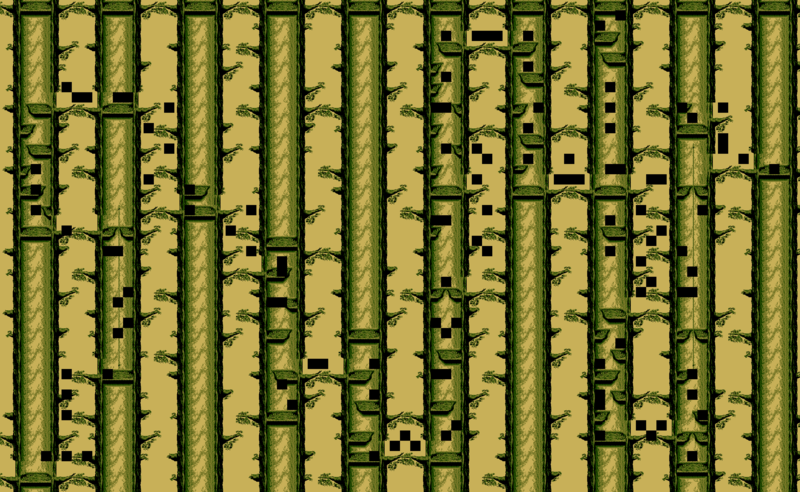 Along with David Wise’s soothing soundtrack, players truly felt like they had been transported to tropical Donkey Kong Island thanks to the combination of state-of-the-art technology and Rare’s signature charm. Donkey Kong Country went on to become the second best-selling game on the system, just below Super Mario World. 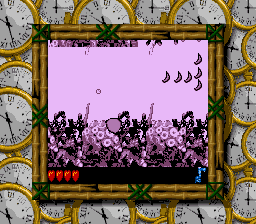 The banana-crazed aftermath turned Rare into an overnight household name and one of Nintendo’s strongest second-party assets. 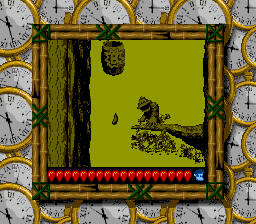 The British developer’s success continued with Donkey Kong Country 2: Diddy Kong’s Quest, which improved upon its predecessor, most notably in difficulty and longevity. 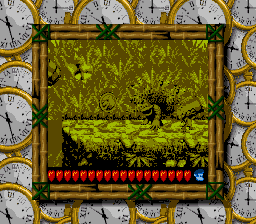 Donkey Kong Country 2 also introduced a new playstyle with the addition of Dixie Kong, a cute beret-wearing chimp who could glide through the air by twirling her ponytail. 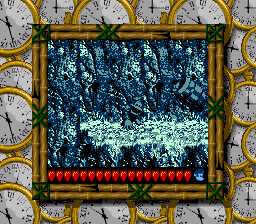 When the third and final installment, Donkey Kong Country 3: Dixie Kong’s Double Trouble!, arrived shortly after the Nintendo 64 hit stores and Super Mario 64 actualized real polygonal gaming, the apes had somewhat been stripped of their pseudo-3D novelty. Perhaps as a result, the game sold the fewest amount of units in the series. 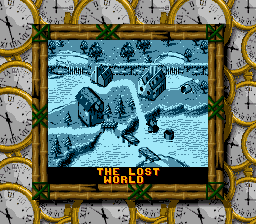 In the third outing, Kiddy Kong, Dixie’s big baby cousin, replaced Diddy, and the usual linear map layout became more of an open-ended environment, with the player being able to freely explore the Northern Kremisphere to discover hidden areas and clues to uncovering The Lost World. 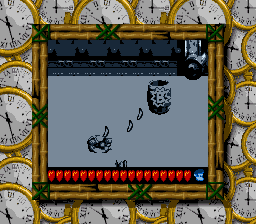 To take advantage of Nintendo’s immensely popular portable, the Game Boy, 8-bit versions based on each of these games made their way to the small screen with varying degrees of success. Donkey Kong Land, the first in the handheld trilogy, provided players with an all-new adventure while reaching into the general formula of the first Donkey Kong Country for inspiration. 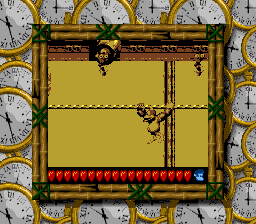 Mimicking the high-end console visuals came with a price: a claustrophobically-close perspective sometimes caused DK or Diddy to run blindly into enemies. The slippery controls didn’t help to prevent any accidental animal abuse, either. 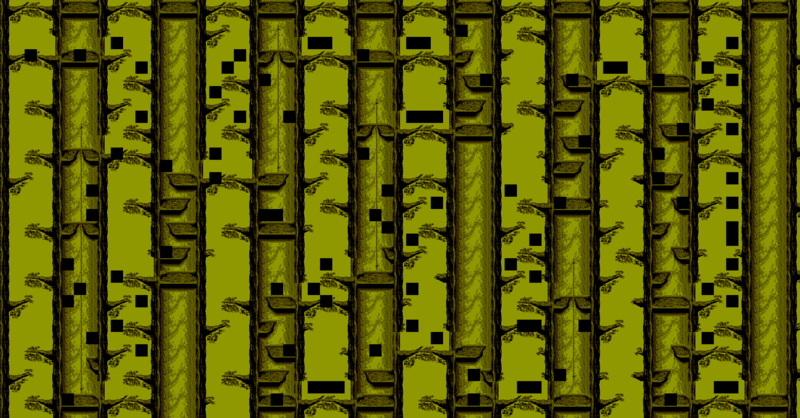 Donkey Kong Land 2 departed from the first Donkey Kong Land by focusing on faithfully recreating its console counterpart instead of using the pieces to create a wholly unique and separate experience. 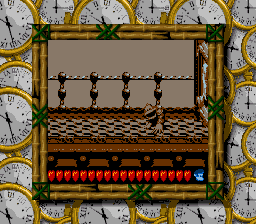 Although again tweaked to fit the limitations of the Game Boy hardware, Donkey Kong Land 2 overall handled better than the first Donkey Kong Land but didn’t give seasoned veterans of the Super Nintendo game enough incentive to trample through the same stages a second time. 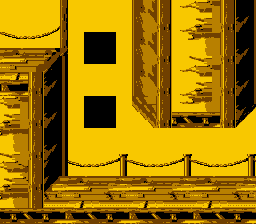 Donkey Kong Land III, a.k.a. 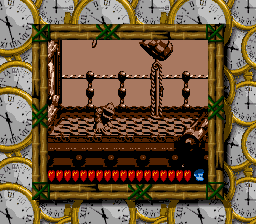 Donkey Kong Land 3, seemed to be the most measured of the three handheld titles by offering enough new elements to keep things fresh while still staying true to the original theme of the console version. 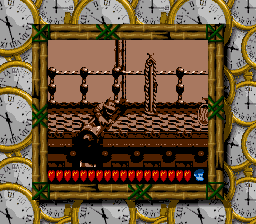 Donkey Kong Land III also encouraged greater replay value by hiding Bonus Coins and DK Coins throughout levels and adding time trial races in an all-new Time Attack mode, which unlocked upon completion of the main game. 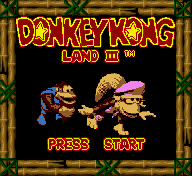 Donkey Kong Land III first debuted on the monochrome Game Boy in October 1997, and then hopped on Funky’s Flights to Japan a little over two years later to receive the Game Boy Color treatment. 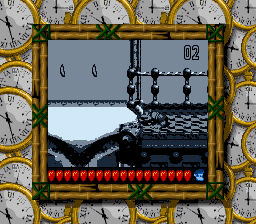 A private Swedish Nintendo video game prototype collector named Johan purchased a Donkey Kong Land III prototype from eBay U.K. user “fractulus” in March 2010 for GBP 20.67 (approximately $30). 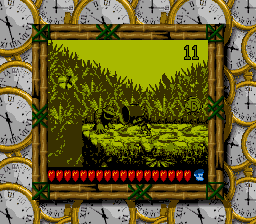 Donkey Kong Land III was one of several PAL prototypes that were sold by that seller. 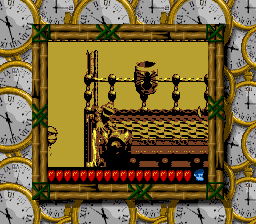 In the following years, he would go on to auction off betas of Castlevania Vampire’s Kiss (Super Nintendo), Wario’s Woods (Super Nintendo), and Sonic Rush (Nintendo DS). Friend of the site and fellow prototype enthusiast Oisin McGovern tipped me off to the identity of the Englishman, Dave Kelsall, who worked from 1992 to 1999 as an art director at EMAP, a British media publishing company. 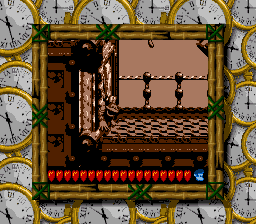 He contributed to several publications there like Mean Machines Sega and Official Nintendo Magazine. I contacted Kelsall and asked for his thoughts about the Donkey Kong Land III cartridge that he had auctioned and inquired about how he wound up with so many prototype games. 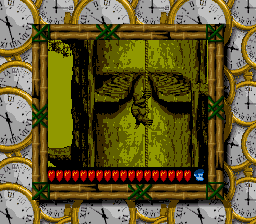 Out of all those lost prototypes, only a couple stood out to Kelsall. 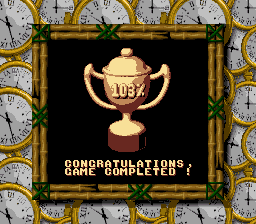 According to Kelsall, game companies, including Nintendo, never expected their prototypes would be returned. 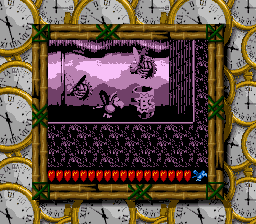 Besides the Super Nintendo prototypes of Super Star Wars and Zombies Ate My Neighbors that he’s keeping for nostalgic reasons, Kelsall only has a handful of Game Boy beta cartridges left. 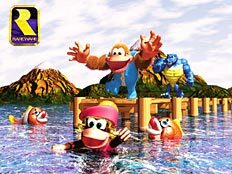 He used to own one other rescued Rareware development cartridge, a prototype of the first Donkey Kong Land, which he sold on eBay U.K. in January 2011 for GBP 78.00 (approximately $124). 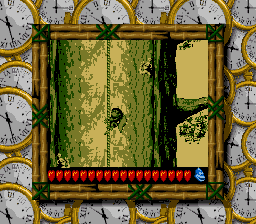 The buyer of that game, an Italian, would not return my messages, so any possible differences remain to be seen. 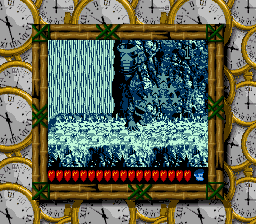 Fortunately, Johan was not only gracious enough to get back to me with information about his Donkey Kong Land III prototype, he even agreed to sell it. 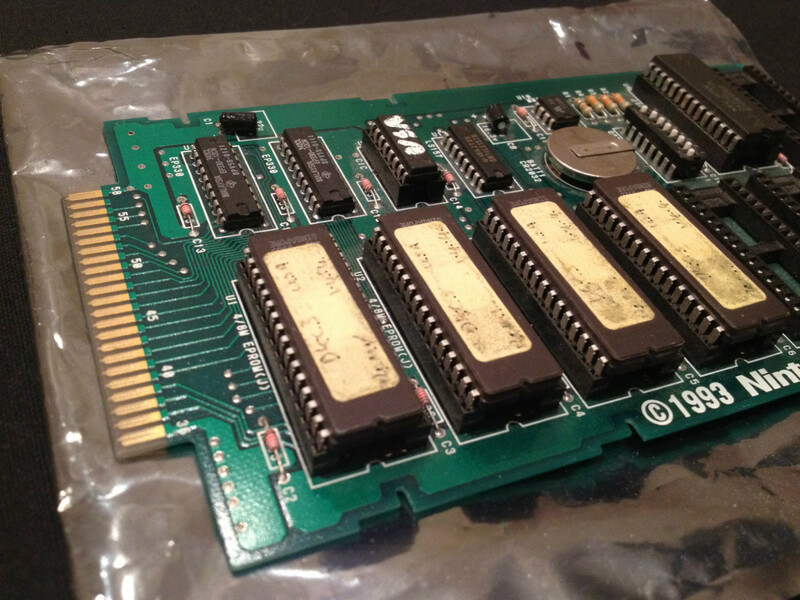 I was thrilled, as Rare prototypes from this era are not easy to come by. 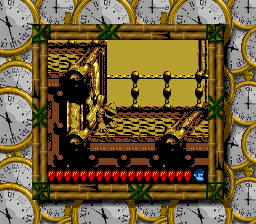 It also doesn’t help any that there are some downright fanatical Rareware devotees with deep pockets competing to resurrect their own private sacred monkey shrines. 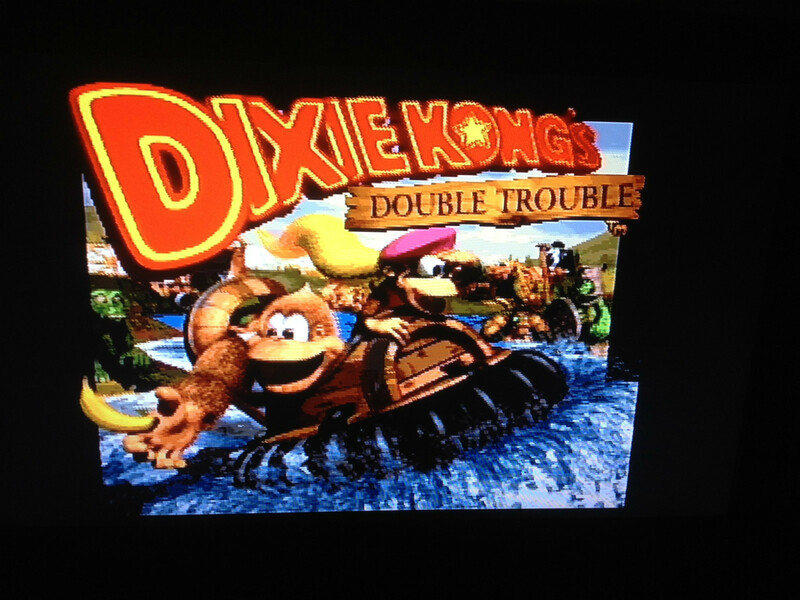 In fact, as recently as August 2012, a Donkey Kong Country 3: Dixie Kong’s Double Trouble! 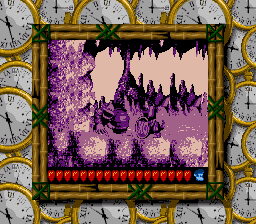 long board Super Nintendo prototype disappeared into a collector’s hands in less than 48 hours of the owner’s friend posting its existence. 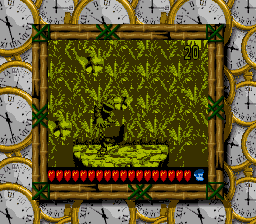 That collector turned out to be none other than Johan, as well, who listed the game on eBay the day after Halloween 2012 for the rather frightful price of $8,000. 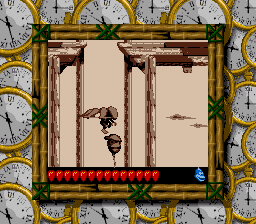 Above are in-game prototype screenshots from the auction. 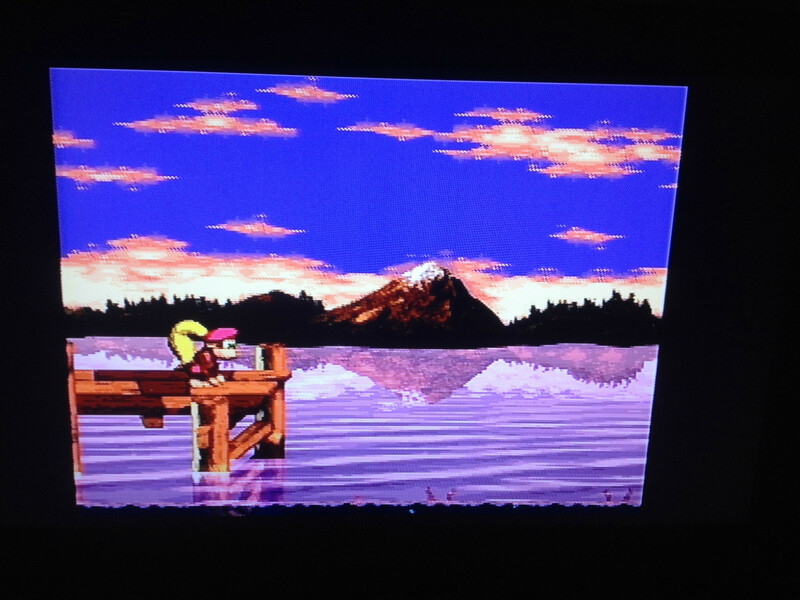 This apparently wasn’t the first time that a Donkey Kong Country Super Nintendo prototype has surfaced on eBay. A beta of Donkey Kong Country 2: Diddy Kong’s Quest previously appeared in August of 2009. 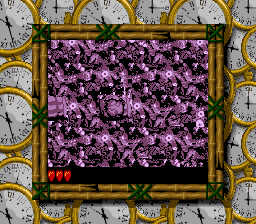 Advertised with the eye-melting headline “SNES – DONKEY KONG COUNTRY 2 – RARE BETA/PROTOTYPE?,” the listing ended at $300 with 9 bids (link). 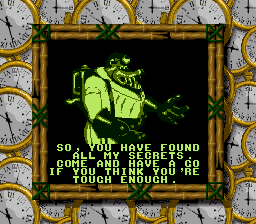 No other information is known, and confirmation of the prototype’s legitimacy is difficult now that the auction has since been removed. 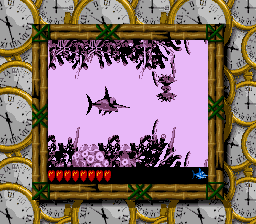 A common misconception is that all Rare prototypes are far, well, “rarer” than development items from other game developers. 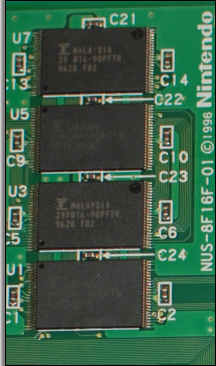 As is often the case, desirability is one of the biggest factors of a prototype’s scarcity. 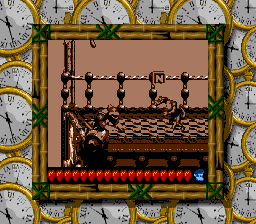 It may be the difference between finding a prototype of Digger T. Rock and Donkey Kong. 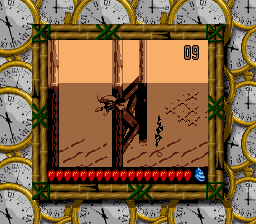 For example, a Game Boy prototype cartridge of Beetlejuice, a dreadful Rare/LJN platformer, based on the Saturday morning cartoon spin-off, in which the pinstripe-suited ghoul explores rooms of a haunted house to exorcise possessed washing machines, did not get any bites when it was placed on eBay for roughly $100. 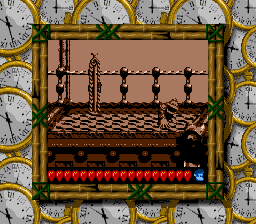 The seller relisted the game several times before he finally gave up the ghost. 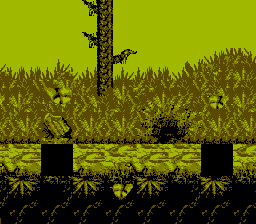 In contrast, an auction offering a Game Boy EPROM cart that contained Battletoads, one of Rare’s most iconic franchises back in the day, enticed several bidders and ended at $305 in February 2012. 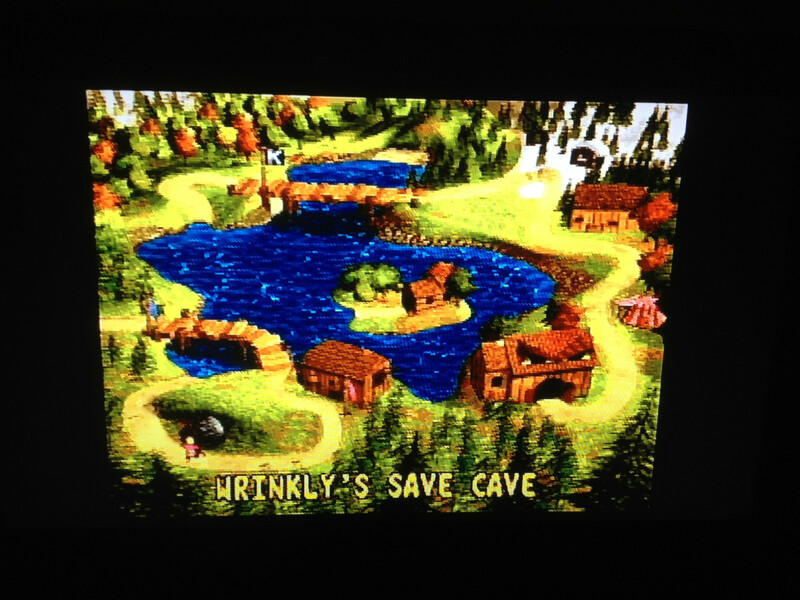 As one prominent prototype dealer told me, even early builds of the THQ-published Game Boy Advance titles, Banjo-Pilot and Banjo-Kazooie: Grunty’s Revenge, command prices in the $750 range due to fans’ cultish devotion to Rare. 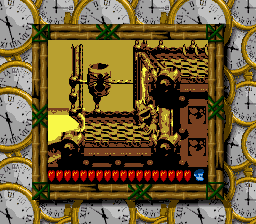 An internal contact working at THQ used to sneak these cartridges away from the publisher to sell them on the black market in order to keep up with his lifestyle. 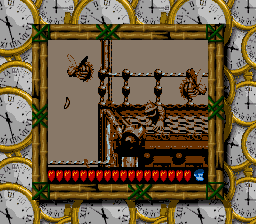 So, while it’s true that many things that the Stamper brothers touched turned to gold, in more ways than one, even the most slavishly infatuated admirer would be hard pressed to care all that much about an Nintendo Entertainment System beta of the Rare-developed Jordan vs. Bird: One on One. 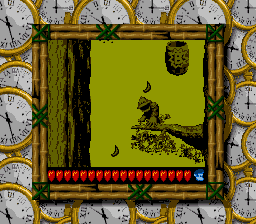 The Donkey Kong Land series falls somewhere in the middle of Rare allure, not being as wildly successful or remembered as its Donkey Kong Country brethren; essentially, it’s the dwarf banana fruit tree to Donkey Kong Country‘s enormous and hearty banana split. 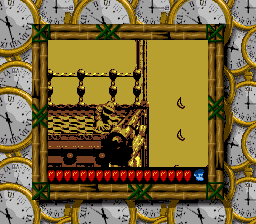 But, hey, mini bananas can make for a pretty tasty snack on the go. 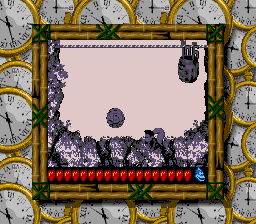 The characteristically ugly development cartridge won’t win any beauty contests, but like momma always said, it’s what’s inside that counts. That being said, a good cleaning wouldn’t hurt to wipe away some of the garbage residue accumulated from its time wallowing in the trash. 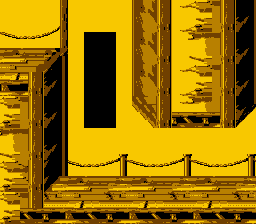 Damn dirty apes? 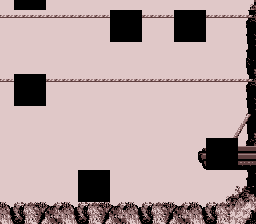 More like damn dirty prototype! 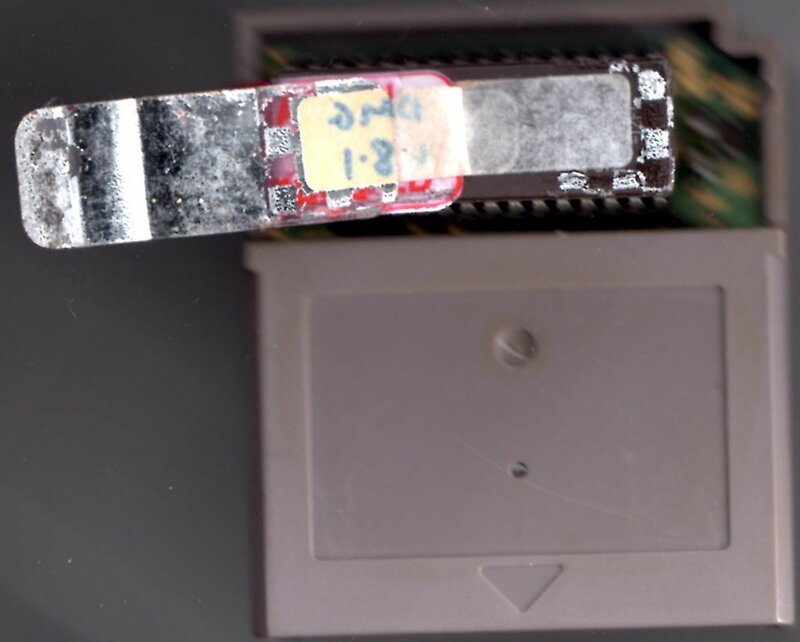 The EPROM chip wears a chastity belt to prevent dirty-minded dumpers from having their way with the untouched data. 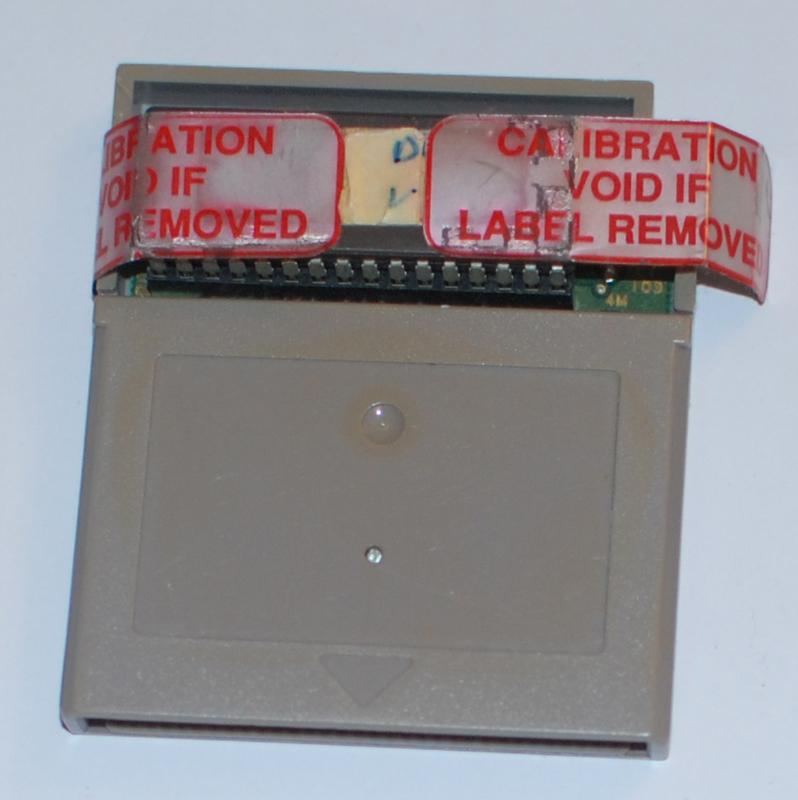 The hologram label ambiguously warns potential violators, “CALIBRATION VOID IF LABEL REMOVED.” Fortunately, there are now easier methods to make prototype back-ups without ever having to remove the chip, but back then, the desired effect of these labels was to scare people from pirating the software. 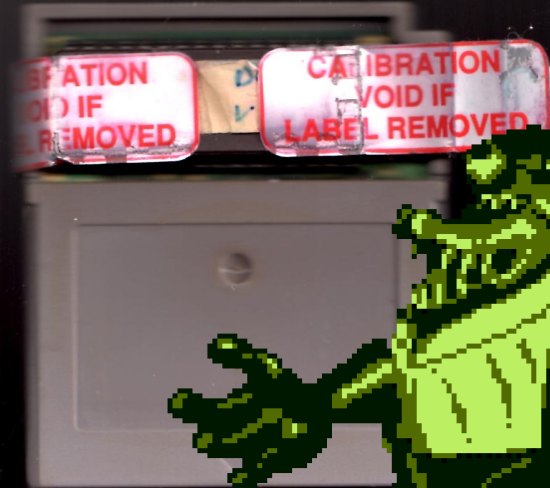 Since the label had already begun to come undone on one end due to age, all it took was a little bit of coaxing to peel back most of the warning tape. 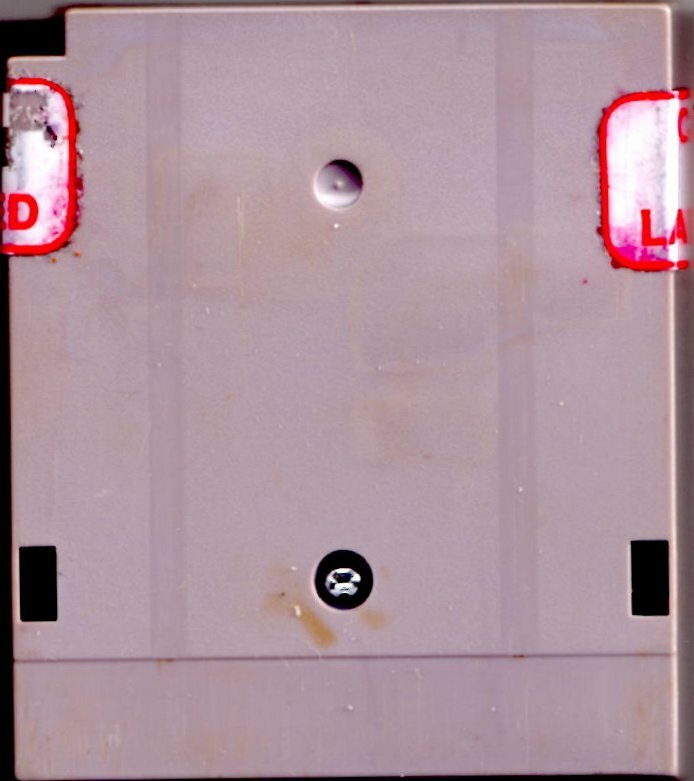 The white sticker underneath has since become attached to the backside of the hologram. 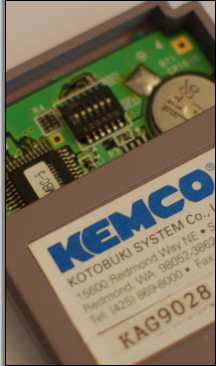 Along with the letters “DMG,” an acronym for “Dot Matrix Game Boy,” it appears that someone has written “v 8•1.” These numbers could possibly correspond to a build date of August 1st, which is exactly two months before the North American release. 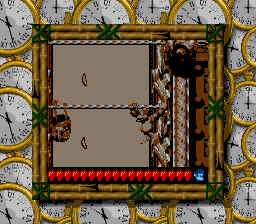 Note: The original USA/Europe 1.0 retail version was used to conduct these comparisons. 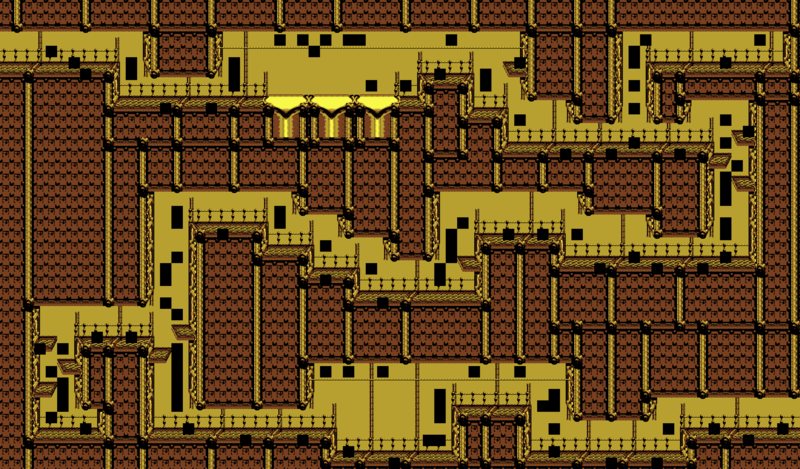 Seabed Shanty level maps generated by Blaziken257’s Donkey Kong Land 2/III Map Dumper. 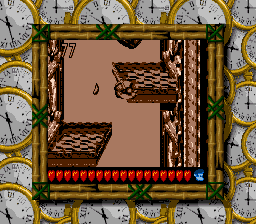 Ford Knocks level maps generated by Blaziken257’s Donkey Kong Land 2/III Map Dumper. 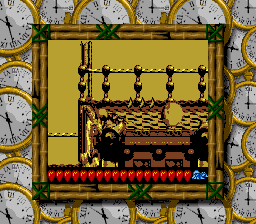 In Ford Knocks, the Extra Life Balloon leading to the Bonus Barrel is not visible from the pier in the prototype. That is because an extra Banana not seen in the retail version obstructs it. 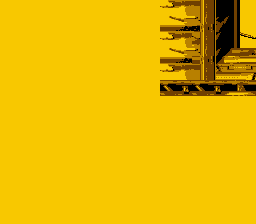 Ford Knocks “Bash the Baddies! 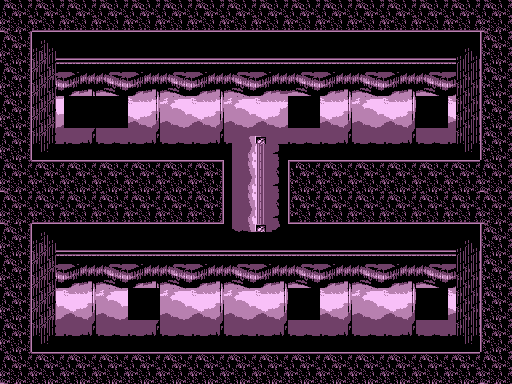 !” Bonus maps generated by Blaziken257. 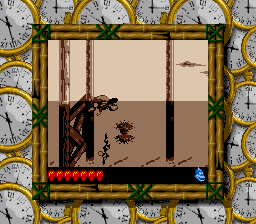 In Ford Knocks, completing the “Bash the Baddies! 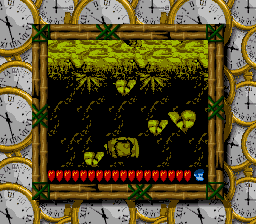 !” mini-game in the prototype causes the Bonus Coin to emerge a little farther to the left. 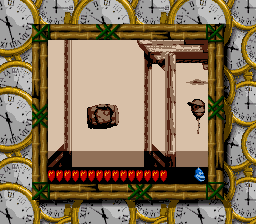 In Ford Knocks, an Extra life Balloon floats by this hidden Blast Barrel in the prototype. 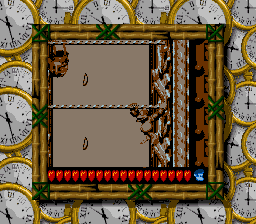 In addition to that, a Banana not seen in the retail version hangs near another hidden Blast Barrel. 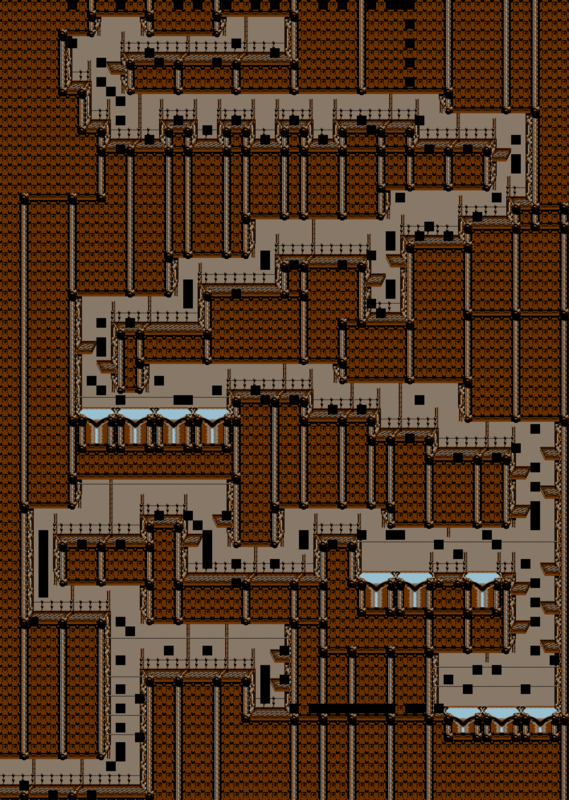 Total Rekoil level maps generated by Blaziken257’s Donkey Kong Land 2/III Map Dumper. 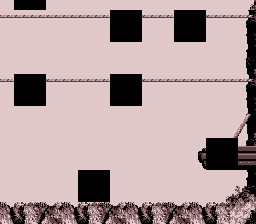 Total Rekoil “Bash the Baddies! !” Bonus maps generated by Blaziken257. 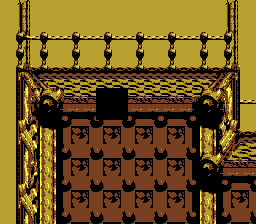 Liftshaft Lottery level maps generated by Blaziken257’s Donkey Kong Land 2/III Map Dumper. 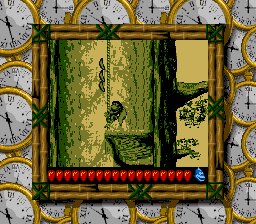 In Liftshaft Lottery, the prototype’s letter “G” does not appear in the same place as the retail version. 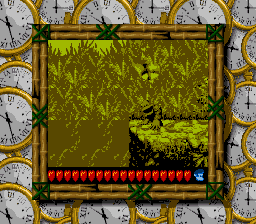 The letter is placed farther ahead by Bristles. 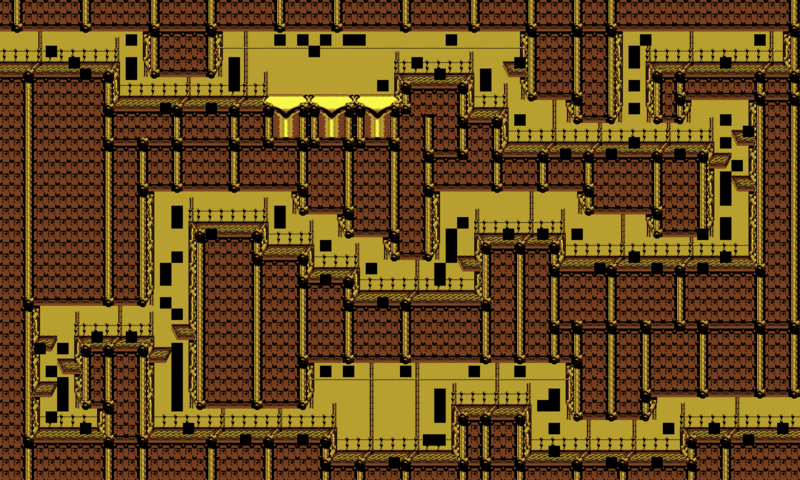 Minky Mischief level maps generated by Blaziken257’s Donkey Kong Land 2/III Map Dumper. 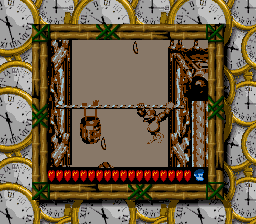 In Minky Mischief, after getting the letter “G,” a second Nid escorts the Kongs to the rope in the prototype. 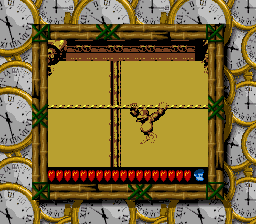 In the retail version, the Kongs find the rope draped directly to the right of this ledge instead. 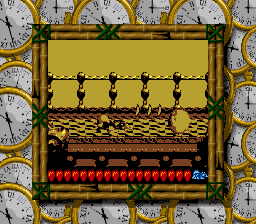 Three additional Bananas hang in the air by the prototype’s rope. The Kongs pass an extra wooden ledge in the retail version before reaching the Minkys. 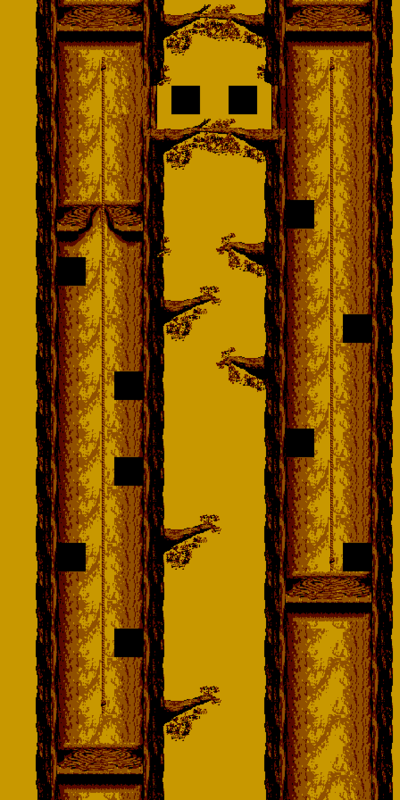 If Dixie and Kiddy keep going up this same rope, beyond the Barrel Shield, they will find that the Minkys are placed closer together in the prototype. 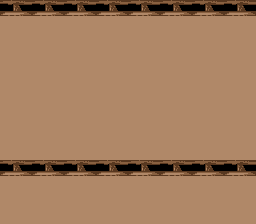 Jetty Jitters “Collect the Stars! !” Bonus maps generated by Blaziken257. 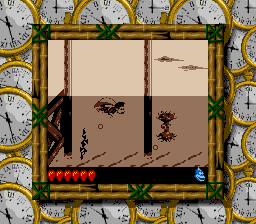 In Jetty Jitters, during the “Collect the Stars! 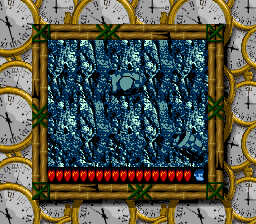 !” mini-game, a cluster of Stars appear underwater to the right of the pier in the prototype rather than in between the pilings. 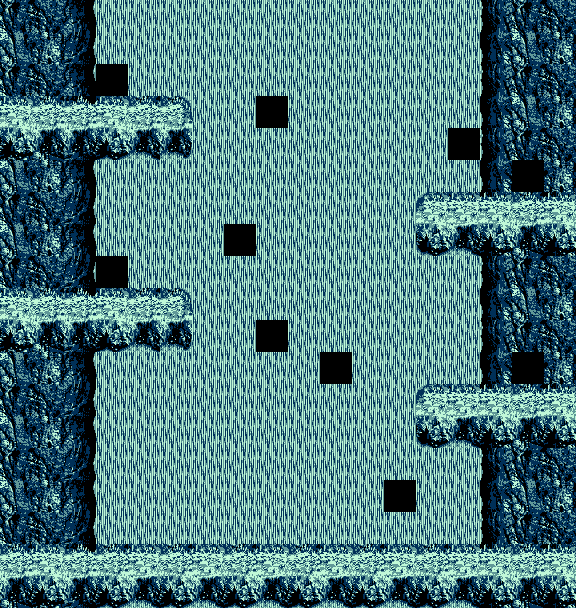 Riverbank Riot level maps generated by Blaziken257’s Donkey Kong Land 2/III Map Dumper. 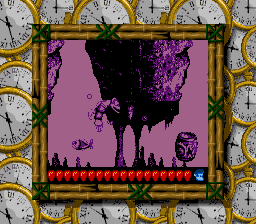 In Riverbank Riot, the underwater section leading to the first Bonus Barrel is shorter in length in the prototype. 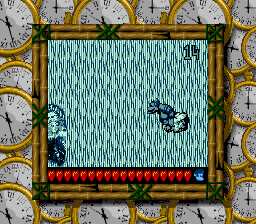 In Riverbank Riot, similar to the above, the underwater section leading to the Bear Coin is shorter in length in the prototype. 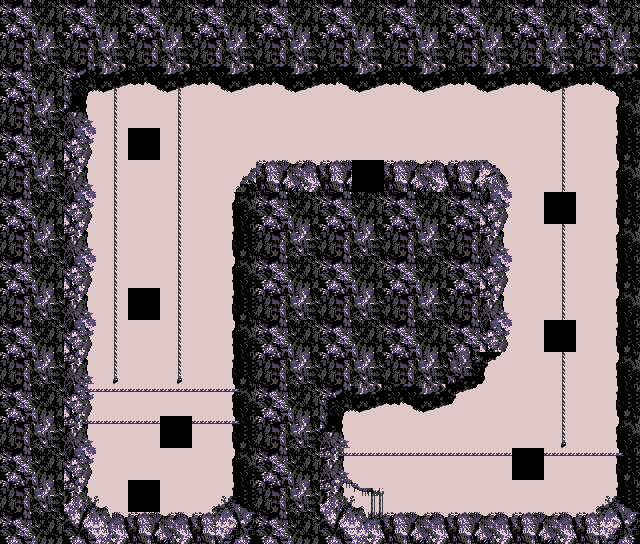 Miller Instinct level maps generated by Blaziken257’s Donkey Kong Land 2/III Map Dumper. 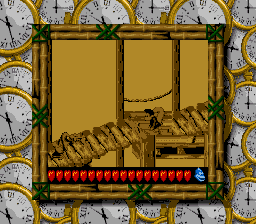 In Miller Instinct, a couple of the floors were extended in the prototype. 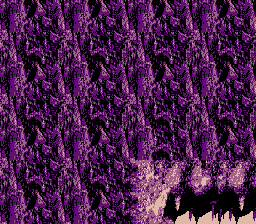 Vertigo Verge “Collect the Stars! 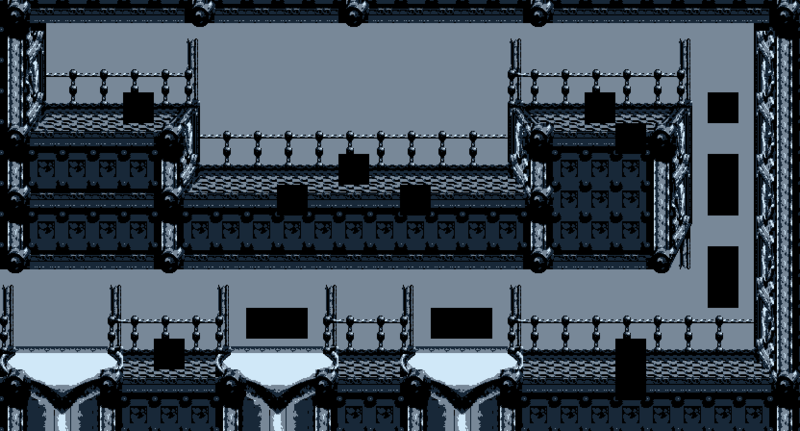 !” Bonus maps generated by Blaziken257. 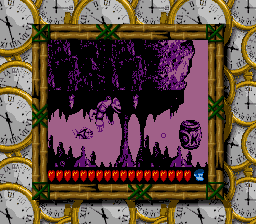 In Vertigo Verge, during the “Collect the Stars! 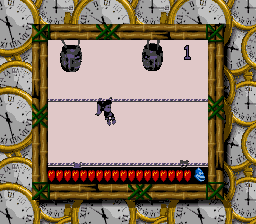 !” mini-game, two Klasps swing from the bottom rope in the prototype instead of only one. 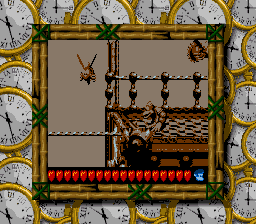 The middle rope in the prototype is empty, but two Klasps occupy the top rope. 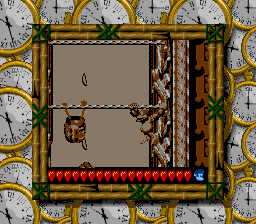 In the retail version, a single Klasp swings from each rope. In Vertigo Verge, completing the “Collect the Stars! 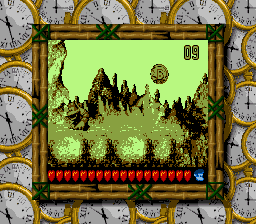 !” mini-game in the prototype causes the Bonus Coin to emerge more towards the center of the screen. 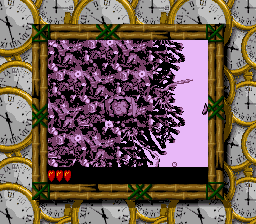 Vertigo Verge “Find the Token! 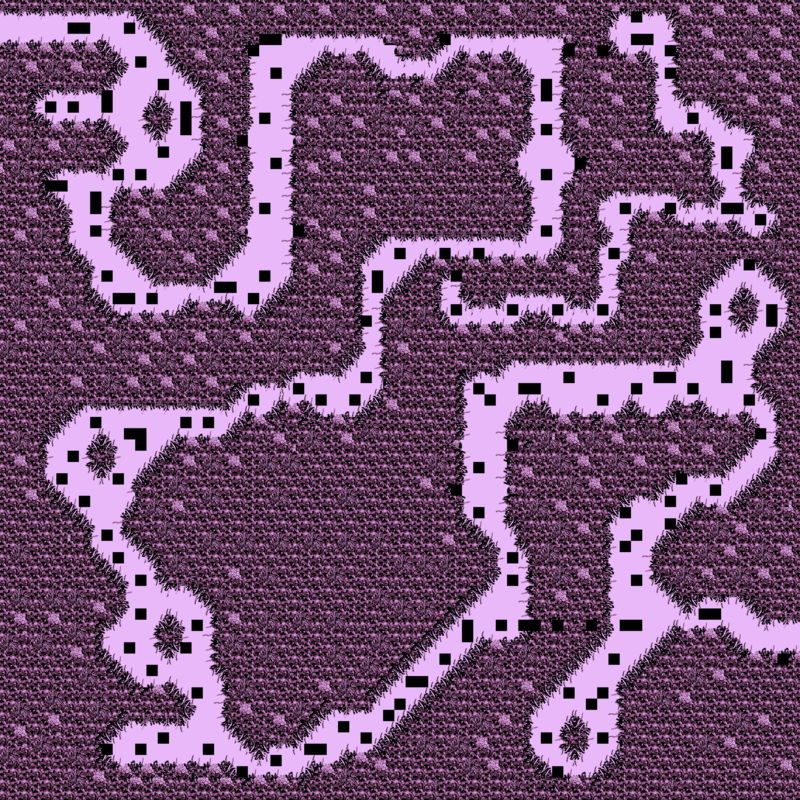 !” Bonus maps generated by Blaziken257. 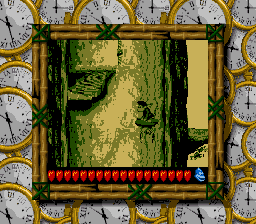 In Vertigo Verge, completing the “Find the Token! !” mini-game in the prototype causes the Bonus Coin to emerge more towards the center of the screen. 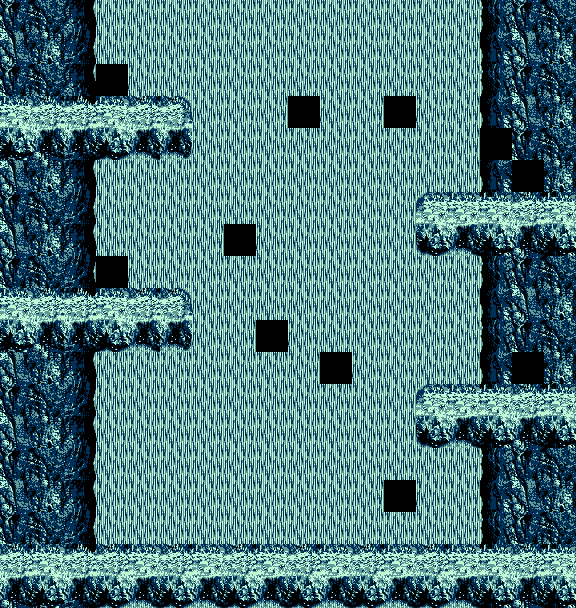 Polar Pitfalls level maps generated by Blaziken257’s Donkey Kong Land 2/III Map Dumper. 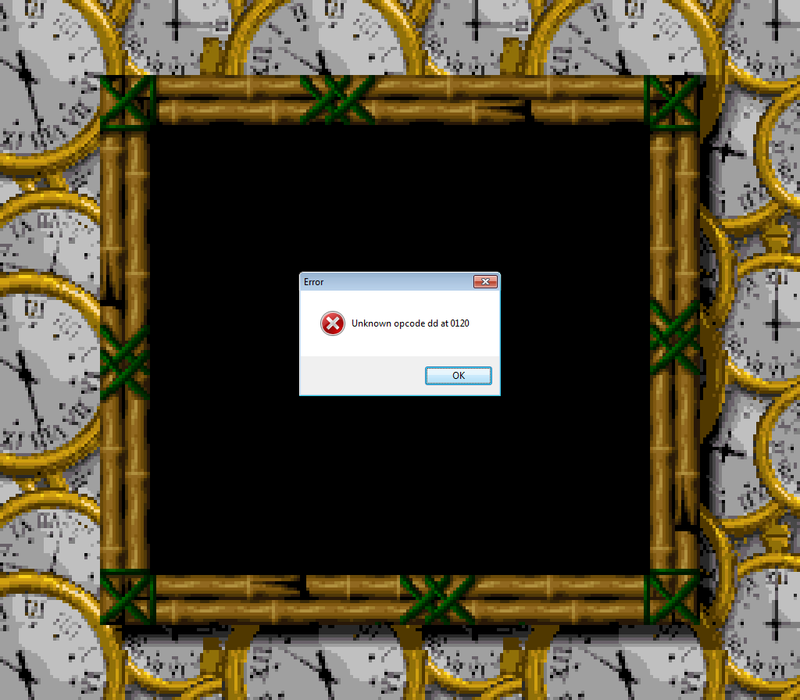 Polar Pitfalls “Bash the Baddies! 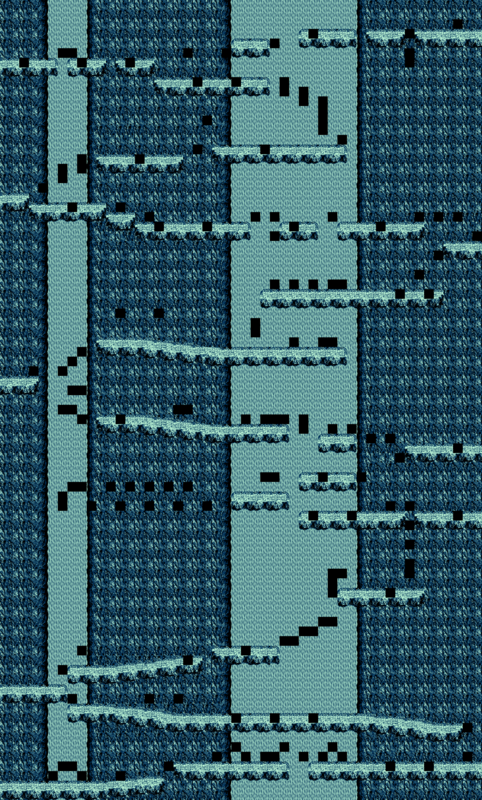 !” Bonus maps generated by Blaziken257. 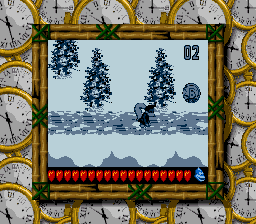 In Polar Pitfalls, on the way to the “Bash the Baddies! 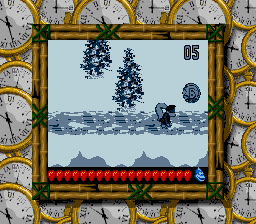 !” mini-game, a Blast Barrel within the ice remains visible in the prototype instead of materializing out of thin air like in the retail version. 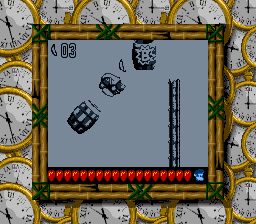 A second visible Blast Barrel, which is stuck within the ice, also makes an appearance in the prototype, whereas the retail version simply shoots the Kongs through the ice and straight into the Bonus Barrel. 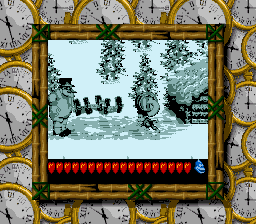 In Polar Pitfalls, at the end of the “Bash the Baddies! 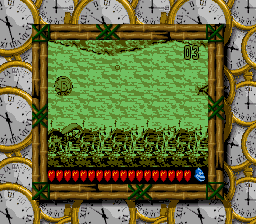 !” mini-game, the prototype’s background sprites differ where the Bonus Coin appears. 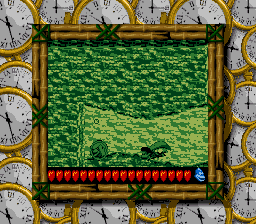 Surface Tension “Find the Token! 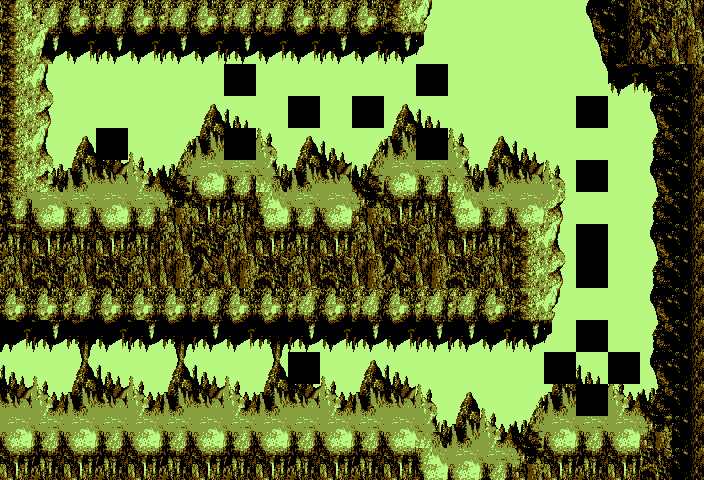 !” Bonus maps generated by Blaziken257. 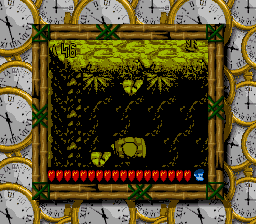 In Surface Tension, completing the “Find the Token! 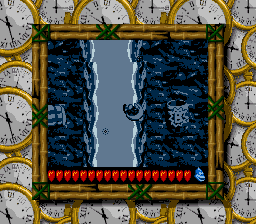 !” mini-game in the prototype causes the Bonus Coin to emerge in the center of the screen. 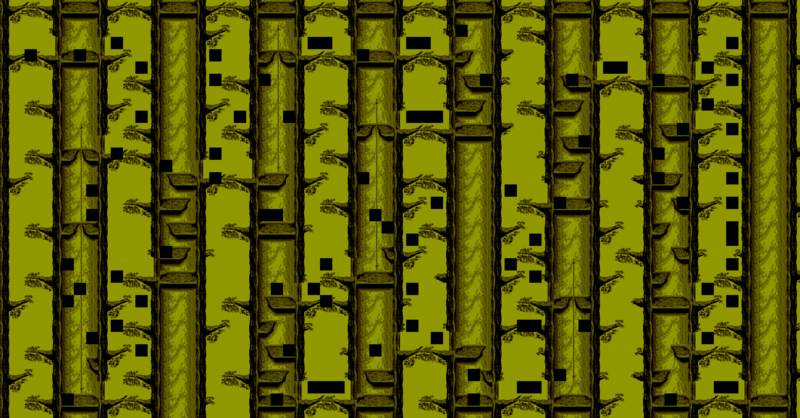 Redwood Rampage level maps generated by Blaziken257’s Donkey Kong Land 2/III Map Dumper. 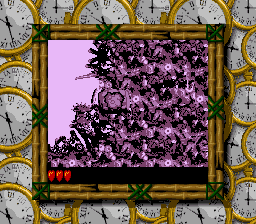 Redwood Rampage “Find the Token! 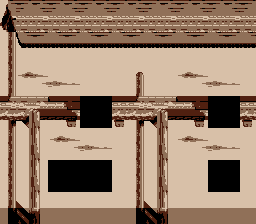 !” Bonus maps generated by Blaziken257. 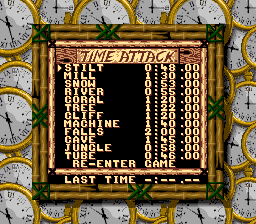 Jungle Jeopardy “Find the Token! 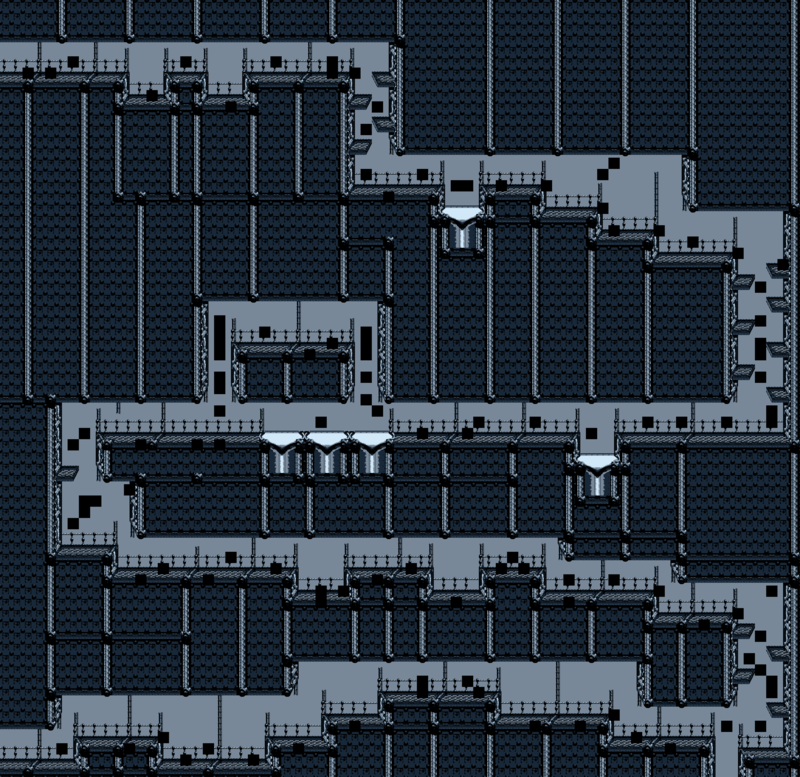 !” Bonus maps generated by Blaziken257. 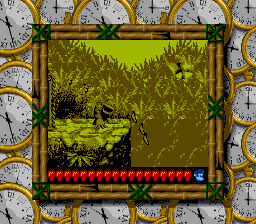 In Jungle Jeopardy, during the “Find the Token! 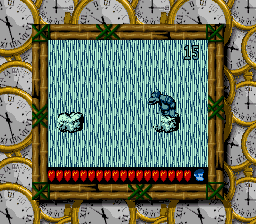 !” mini-game, a second Bazuka stands on guard here in the prototype, and he is facing right. 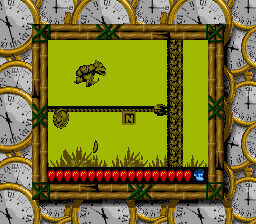 Bazuka is moved to the next section beside the Bonus Coin in the retail version, and he is facing left. 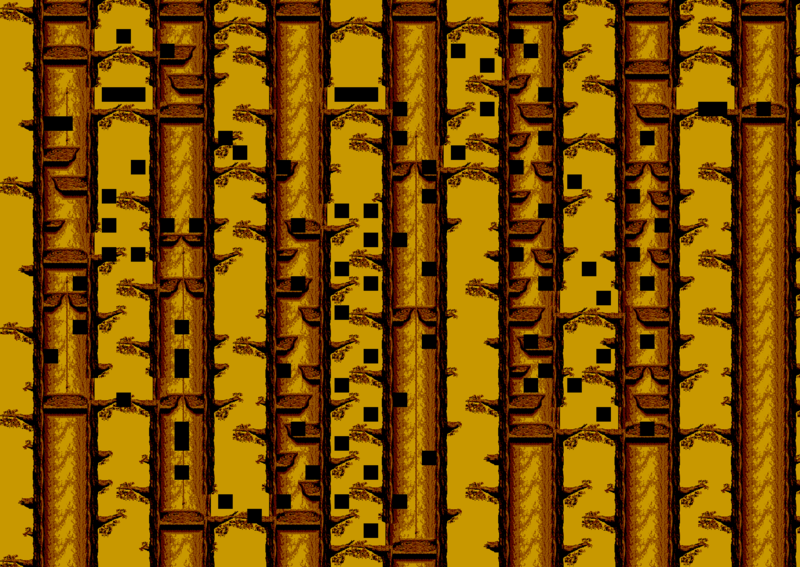 Footloose Falls level maps generated by Blaziken257’s Donkey Kong Land 2/III Map Dumper. 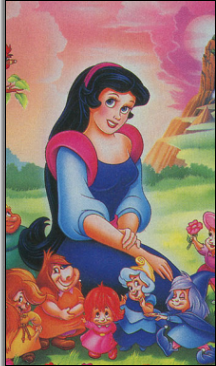 Footloose Falls “Collect the Stars! 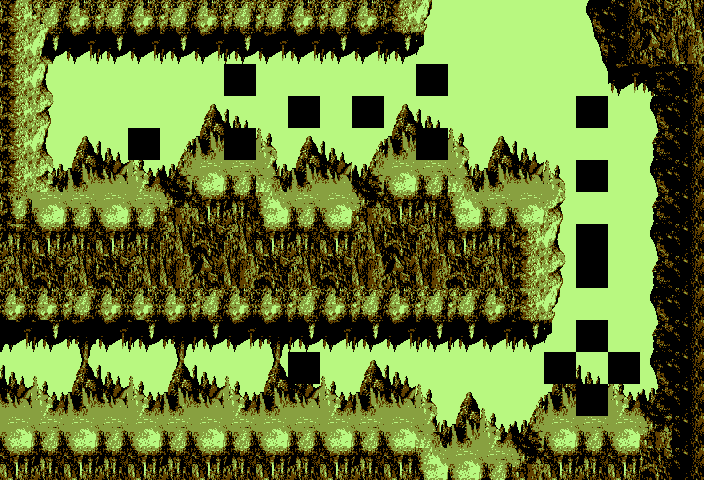 !” Bonus maps generated by Blaziken257. 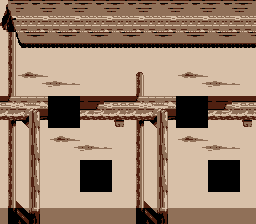 In Footloose Falls, during the “Collect the Stars! 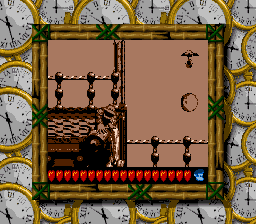 !” mini-game, a Booster Barrel appears in the prototype instead of a leftward-pointing Blast Barrel. After using the Booster Barrel, the wooden ride immediately goes away, so the Kongs only have one shot to get over to the crumbling rock on the left. 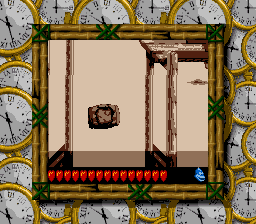 Speaking of which, there are two crumbling rocks in the prototype. 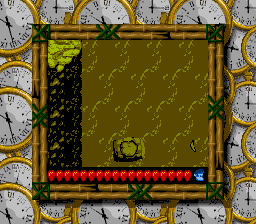 Only one crumbling rock appears in the retail version, and it is positioned closer to safe ground. 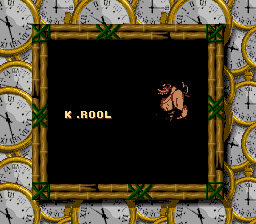 In Footloose Falls, shortly after getting the letter “N,” the Kongs will reach a section with a Blast Barrel. 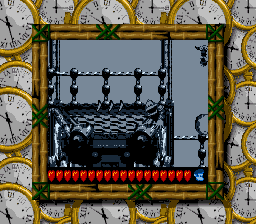 The prototype’s Blast Barrel stands upright, while the retail version’s Blast Barrel leans to the left. 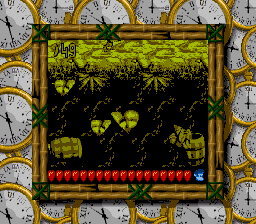 And then another Blast Barrel not seen in the retail version shoots the Kongs over to the left in the prototype. 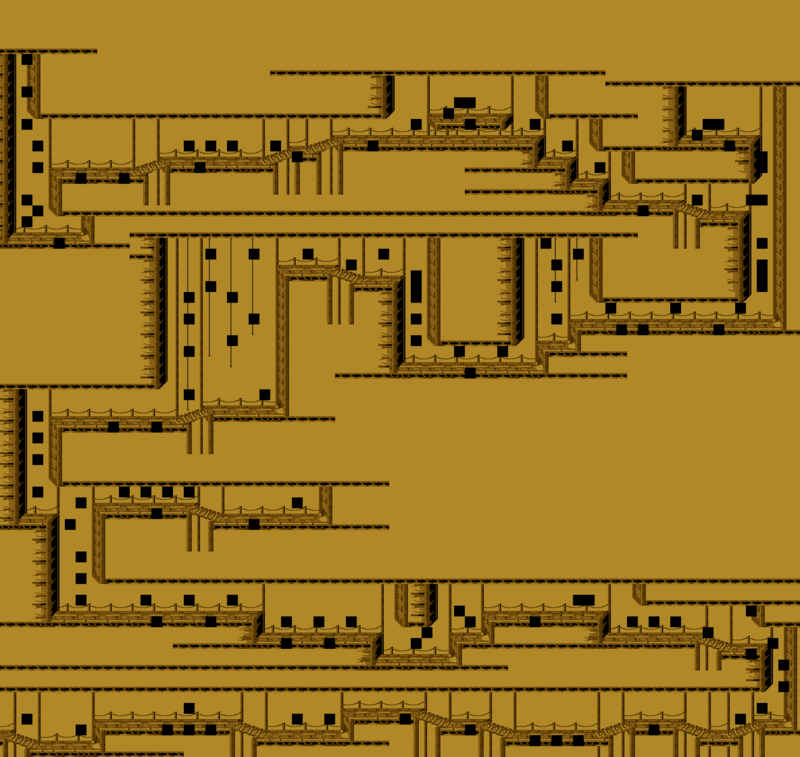 Karbine Kaos level maps generated by Blaziken257’s Donkey Kong Land 2/III Map Dumper. 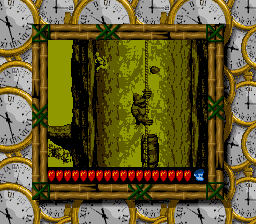 In Karbine Kaos, at the start of the level, the prototype is missing the Bear Coin. 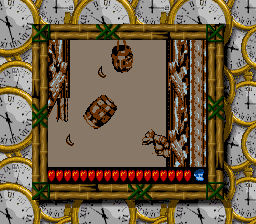 In Karbine Kaos, three Bananas hang in the same location as the retail version’s Squitter Barrel. 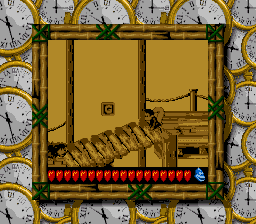 A section to the left, which was removed from the retail version, holds the prototype’s Squitter Barrel instead. 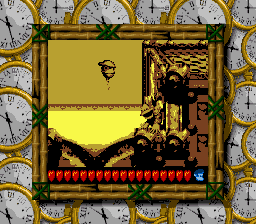 The Extra Life Balloon here also floats farther away above the fire in the prototype. 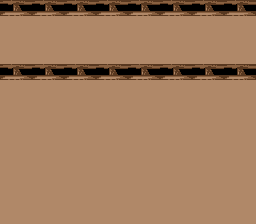 To compensate for this missing area, the retail version’s upper section with the Squitter Barrel is longer in length. 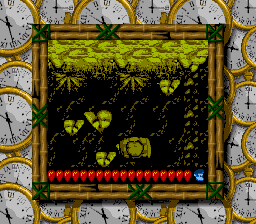 Karbine’s fireballs fall in a different area, too, and three Bananas float on the right side. 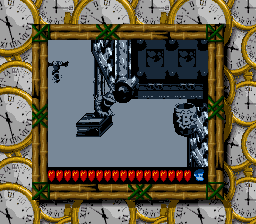 In Karbine Kaos, the Rekoil here is placed farther to the right in the prototype. In Karbine Kaos, before coming upon the letter “N,” the Kongs will see three extra Bananas in the prototype. 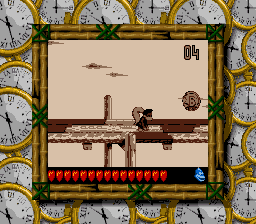 In Karbine Kaos, if the Kongs take the rope towards the “Collect the Stars! 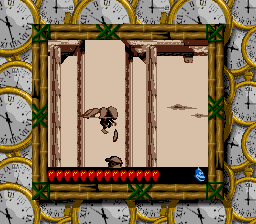 !” Bonus Barrel, they will find that the prototype’s Karbine flies in a different spot, farther ahead than in the retail version. 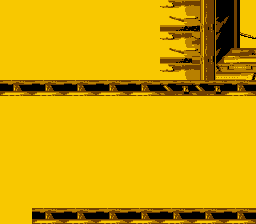 There is also less of a gap between the first and second Karbines in the prototype. 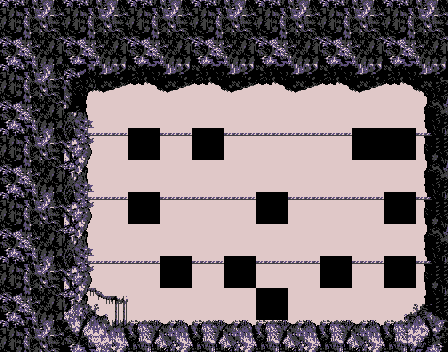 Rockface Chase level maps generated by Blaziken257’s Donkey Kong Land 2/III Map Dumper. 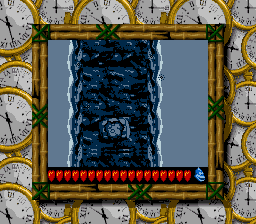 Rockface Chase “Bash the Baddies! 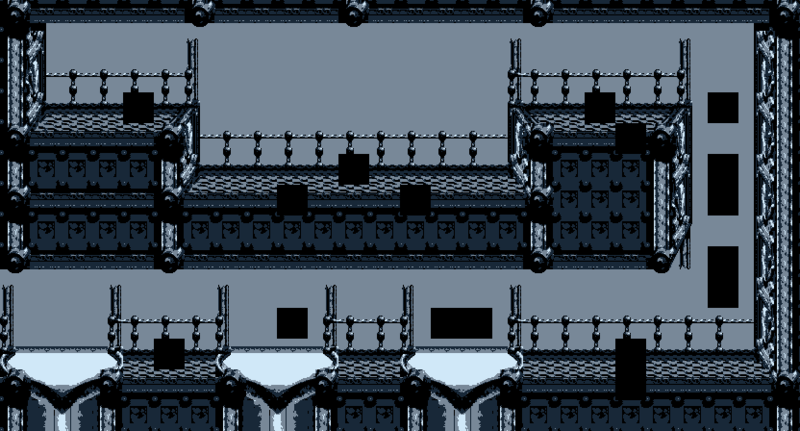 !” Bonus maps generated by Blaziken257. 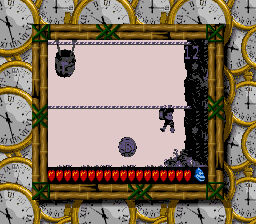 In Rockface Chase, a second Klasp swings on the rope in the prototype above where Koin stands guard. Simian Shimmy level maps generated by Blaziken257’s Donkey Kong Land 2/III Map Dumper. 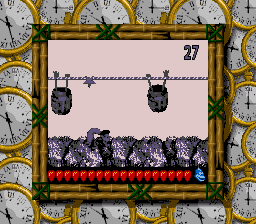 In Simian Shimmy, the Barrel Shield must be used to defend against a second Minky on the right, who does not appear in the retail version. 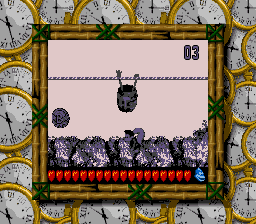 In addition to that, the left Minky is moved up higher in the prototype. 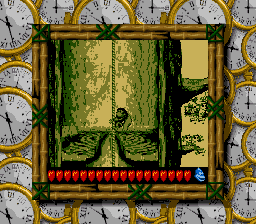 In Simian Shimmy, the Kongs can get a glimpse of the “Find the Token! 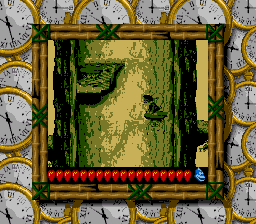 !” Bonus Barrel in the prototype from inside of the tree trunk. 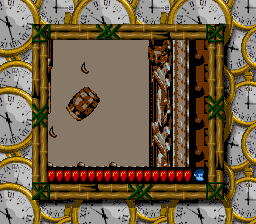 This Bonus Barrel was moved farther to the left in the retail version. 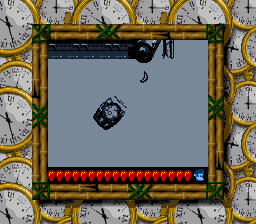 A second Banana also hangs in the air here in the prototype. 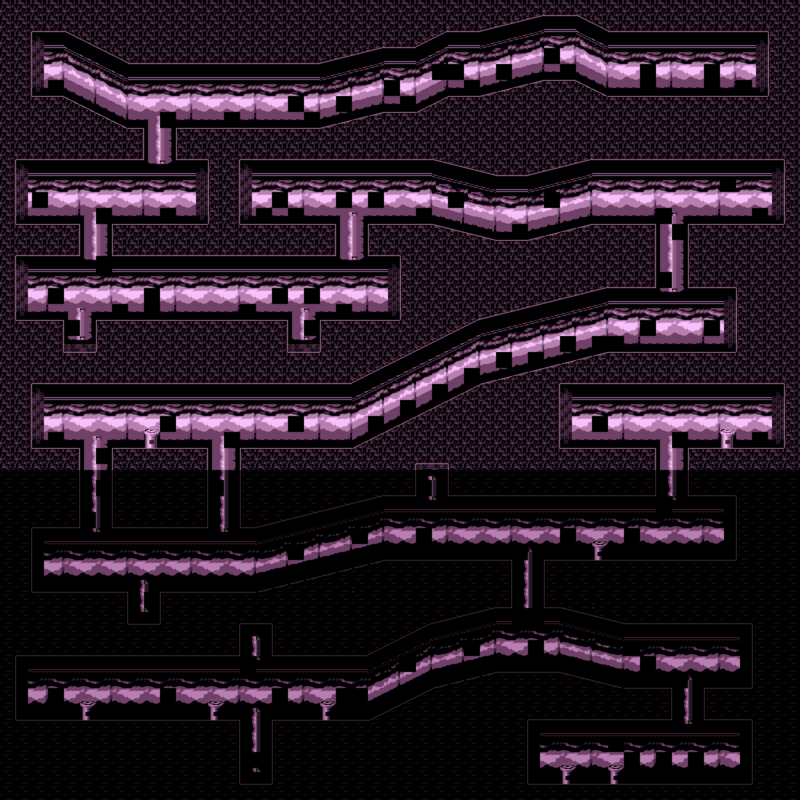 Tropical Tightropes level maps generated by Blaziken257’s Donkey Kong Land 2/III Map Dumper. 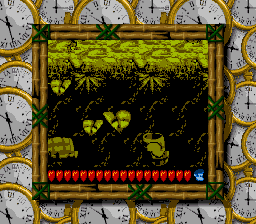 In Tropical Tightropes, the ground textures before the first Blast Barrel are slightly different in the prototype. 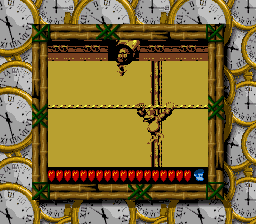 In Tropical Tightropes, a Banana Bunch hangs from the tightrope in the prototype where the letter “N” appears in the retail version. 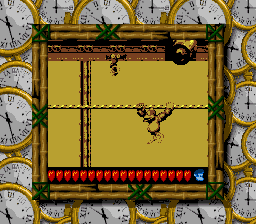 In Tropical Tightropes, dropping from the last tightrope at the end of the level in the prototype will cause the Kongs to fall through some Bananas and into a hidden Blast Barrel that starts a chain reaction of other Blast Barrels. 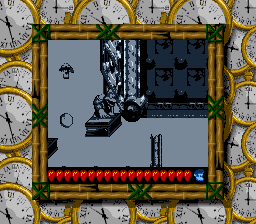 The retail version does not have this particular hidden Blast Barrel. 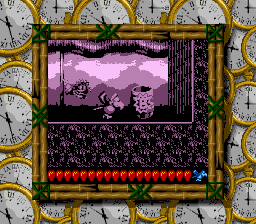 The Kongs instead have to jump over the flagpole and leap into three Bananas to find themselves inside of another hidden Blast Barrel. Notice the extra Bananas in the prototype. 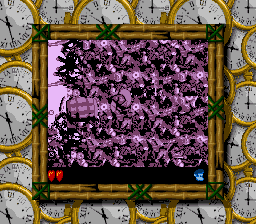 The “Find the Token! 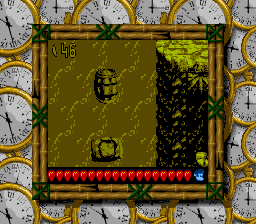 !” Bonus Barrel also appears farther to the right in the prototype. 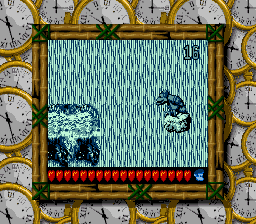 Over on the left-hand side of this section, there are two Bear Coins in the prototype instead of only one. 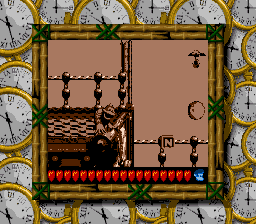 The Blast Barrel that shoots the Kongs to the letter “G” is missing in the prototype. 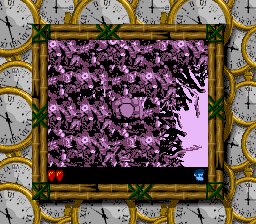 This forces the Kongs to enter the “Find the Token! 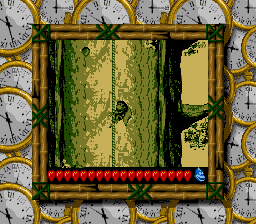 !” Bonus Barrel in order to leave this section to get back to the flagpole. 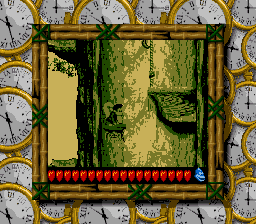 In Tropical Tightropes, after finishing the “Find the Token! !” mini-game, the Kongs enter a chain reaction of Blast Barrels, eventually leading to the letter “G” in the retail version. 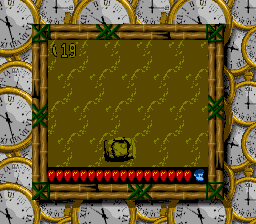 “G,” however, does not appear in the prototype. 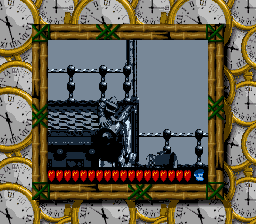 The final Blast Barrel in the prototype also does not shoot the Kongs over the flagpole, either, but rather behind it. 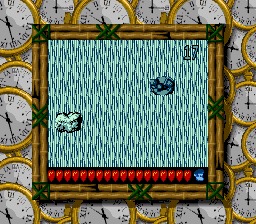 Bazuka Bombard level maps generated by Blaziken257’s Donkey Kong Land 2/III Map Dumper. 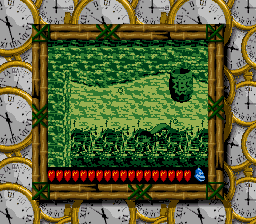 In Bazuka Bombard, the “Collect the Stars! 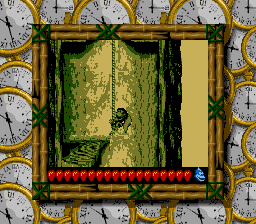 !” Bonus Barrel does not appear directly to the right of the moving elevators in the prototype. There is a Blast Barrel pointing to the right that will take the Kongs to the Bonus Barrel instead. 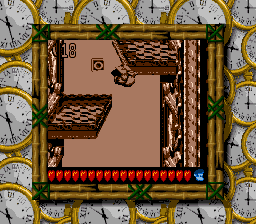 The retail version shows a background wall here. 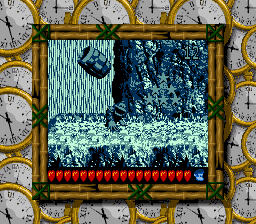 This Blast Barrel shoots the Kongs to the Bonus Barrel in the prototype. 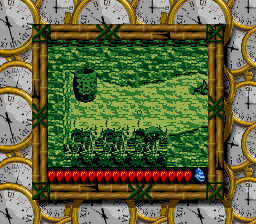 In Bazuka Bombard, reaching the “Bash the Baddies! 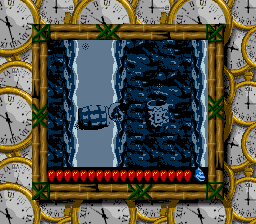 !” Bonus Barrel is a far easier task in the prototype. 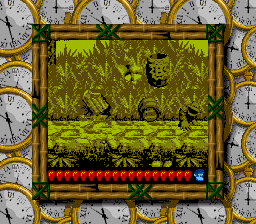 Instead of having to time their jump just right with Bazuka’s shooting Barrels, the Kongs can climb into a convenient stationary Blast Barrel floating between the two Bazuka baddies. 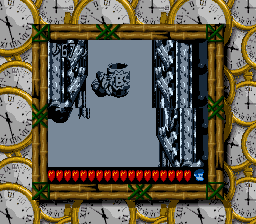 Only one Banana hangs in the air here in the prototype instead of three. 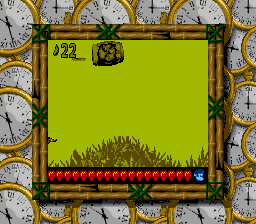 Bazuka Bombard “Bash the Baddies” Bonus maps generated by Blaziken257. 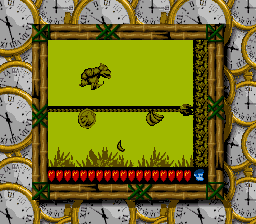 In Bazuka Bombard, before reaching the Bonus Coin during “Bash the Baddies” mini-game, two Bananas hang above the fire in the prototype instead of only one. In Bazuka Bombard, a third Karbine shoots fireballs where the Steel Barrel rests in the prototype. 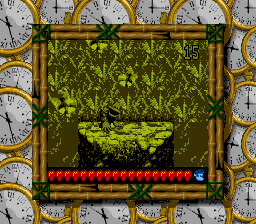 Karbine was moved ahead in the retail version. 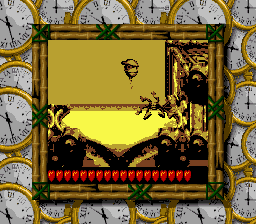 Three Bananas hang in the air here in the prototype. 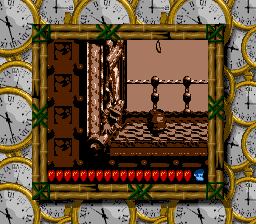 In Bazuka Bombard, right after getting the DK Coin, three Bananas that are not seen in retail version hang here in the prototype. 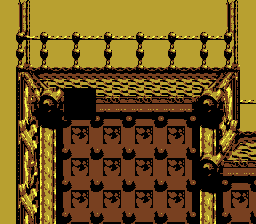 Ugly Ducting level maps generated by Blaziken257’s Donkey Kong Land 2/III Map Dumper. 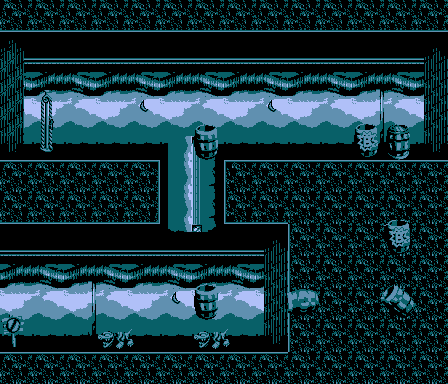 In Ugly Ducting, a Buzz hovers over the “Bash the Baddies!” Bonus Barrel in the prototype. 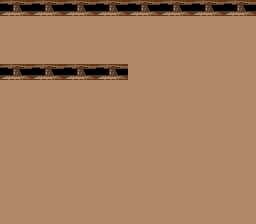 Ugly Ducting “Bash the Baddies! 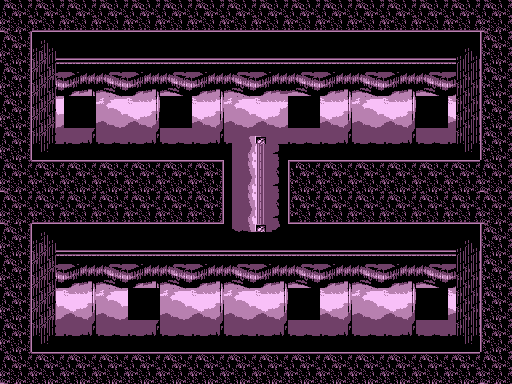 !” Bonus maps generated by Blaziken257. 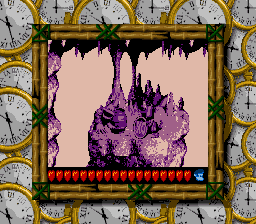 Stalagmite Frights “Find the Token! 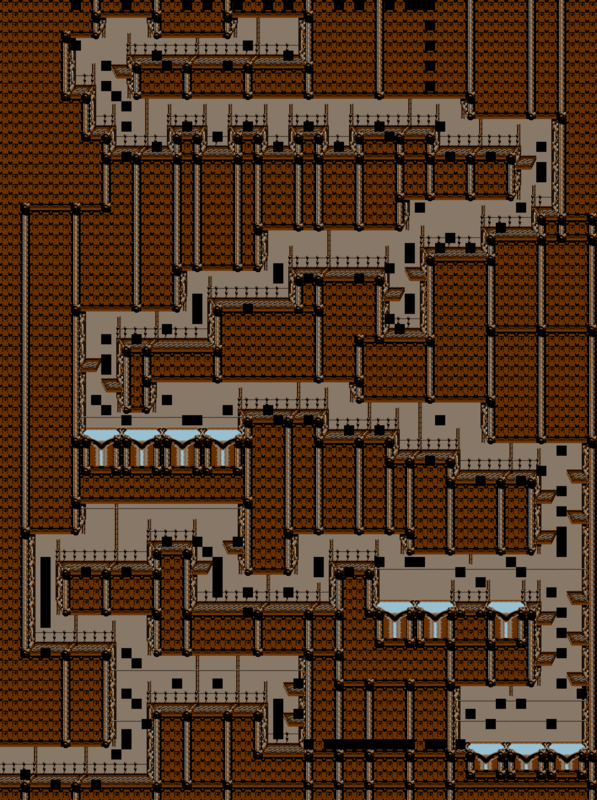 !” Bonus maps generated by Blaziken257. 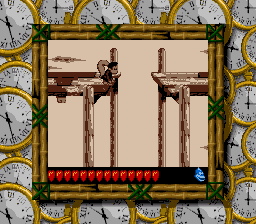 In Stalagmite Frights, completing the second “Find the Token! 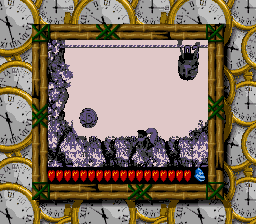 !” mini-game in the prototype causes the Bonus Coin to emerge farther to the right of the screen. 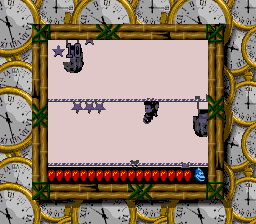 Whiplash Dash level maps generated by Blaziken257’s Donkey Kong Land 2/III Map Dumper. 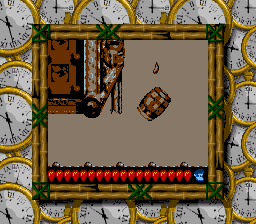 In Whiplash Dash, two Blast Barrels near the end of the level are missing. 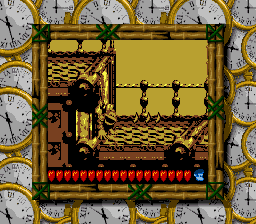 Kuchuka Karnage level maps generated by Blaziken257’s Donkey Kong Land 2/III Map Dumper. In Kuchuka Karnage, a single Banana hangs in the prototype where the letter “O” appears in the retail version. 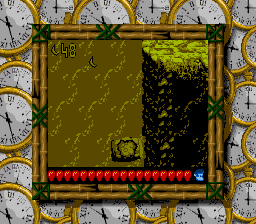 In Kuchuka Karnage, the letter “N” is moved away from this section in the prototype. 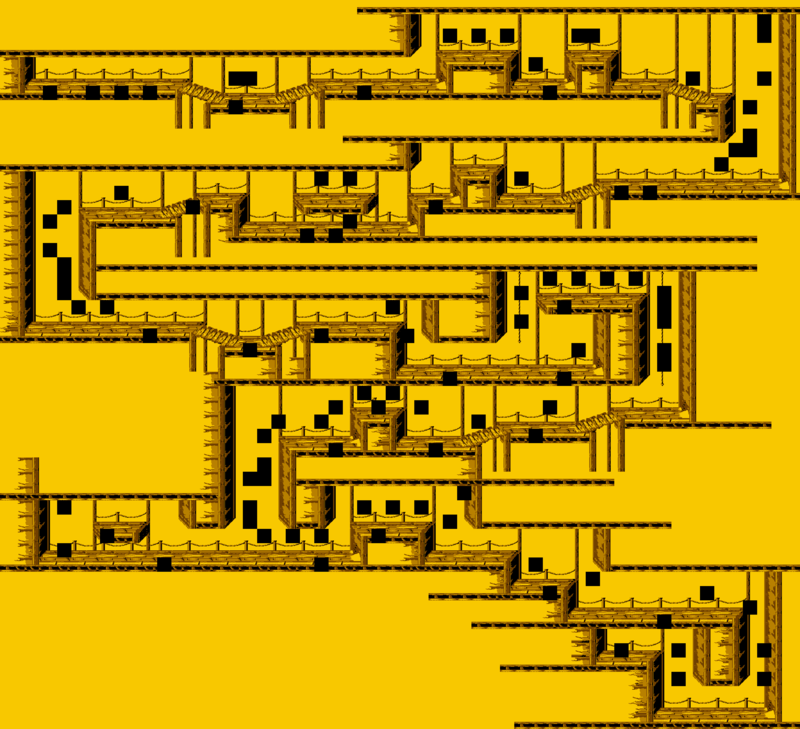 The prototype’s “N” appears down below in the next section instead. 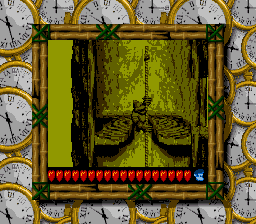 In Kuchuka Karnage, a single Banana hangs in the prototype where the letter “G” appears in the retail version. 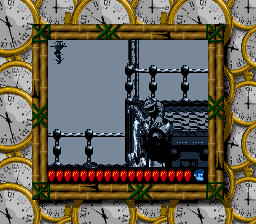 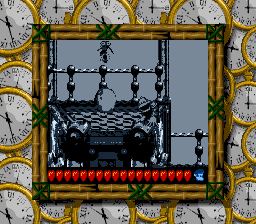 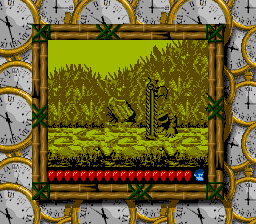 In Kuchuka Karnage, a Bakuza guards the flagpole in the prototype, and the Blast Barrel that shoots the Kongs back up to the upper section is missing. 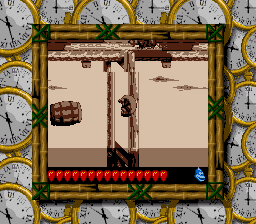 The Kongs have to jump on top of Bazuka to reach the Steel Barrel above. 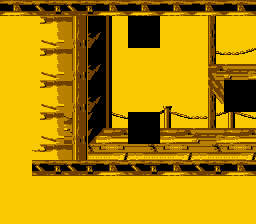 The flagpole has also been pushed back closer to Koin in the prototype. 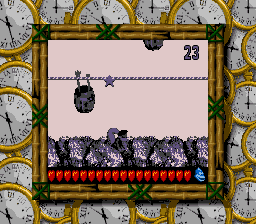 Getting to Koin is a lot trickier in the prototype because the Kongs have to dodge Bazuka’s blasts while carrying the Steel Barrel. 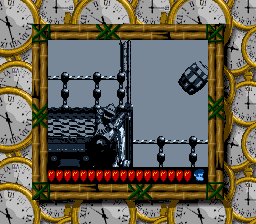 Accidentally knocking into Koin will also bounce the Kongs smack dab into the flagpole. Tossing the Steel Barrel over the flagpole for it to ricochet back and hit Koin causes the game to glitch by not granting the Kongs their well-deserved DK Coin. 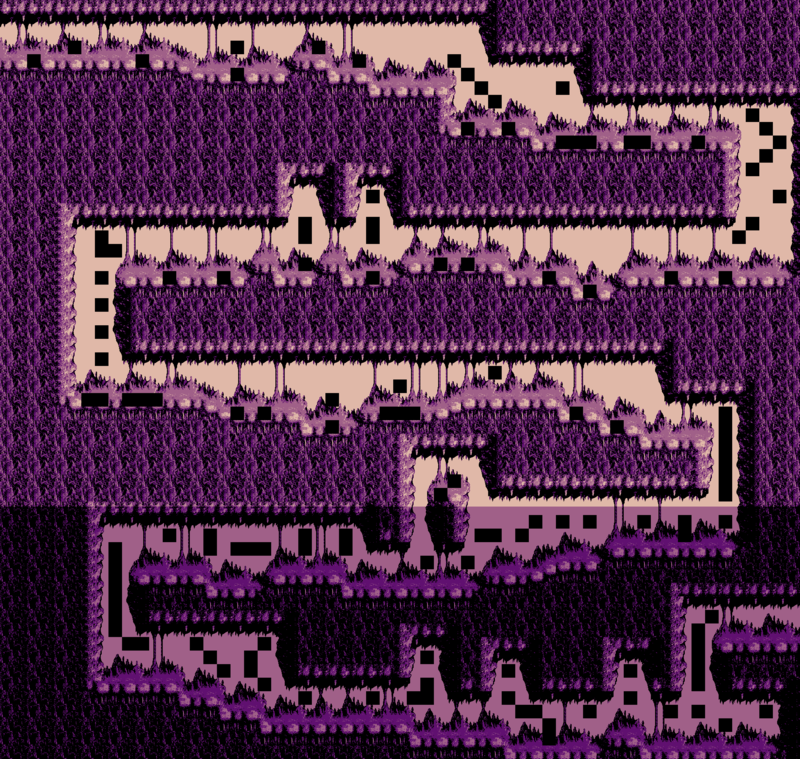 Haunted Hollows level maps generated by Blaziken257’s Donkey Kong Land 2/III Map Dumper. In Haunted Hollows, a chunk of the cavern wall here is different. 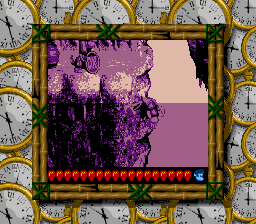 Haunted Hollows “Bash the Baddies! 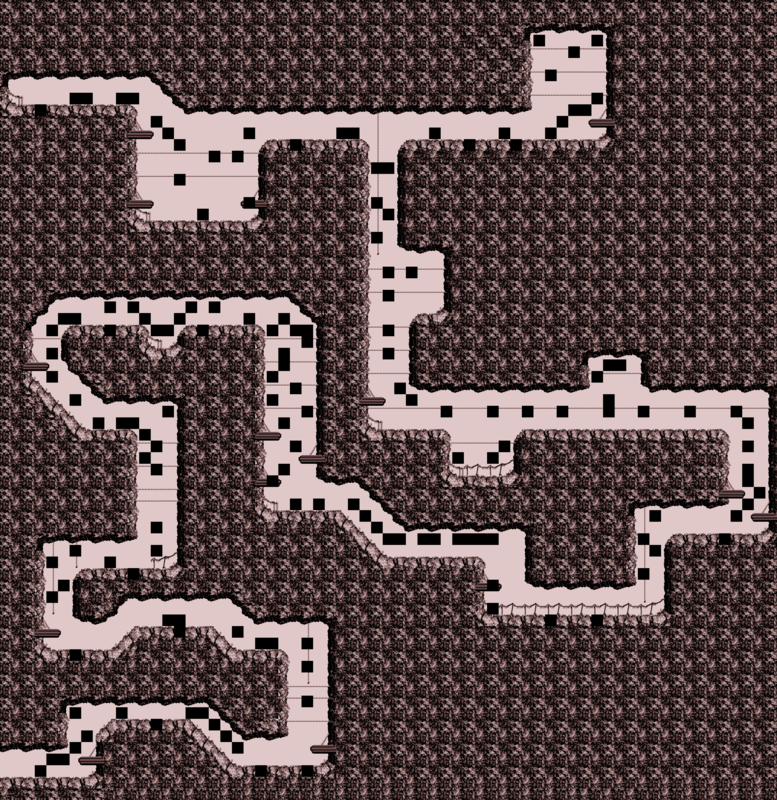 !” Bonus maps generated by Blaziken257. 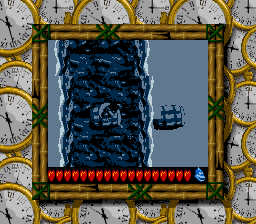 In Haunted Holllows, an underwater gap not seen in the retail version leads to the prototype’s DK Coin. 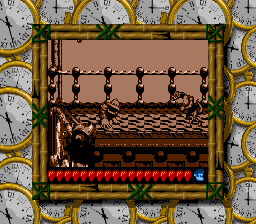 The Kongs have to swim past the DK Barrel and up to reach the same DK Coin in the retail version. 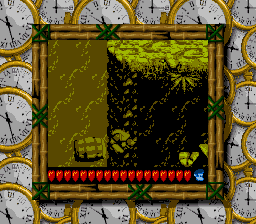 With the cavern wall removed, getting the prototype’s DK Coin is extremely difficult. 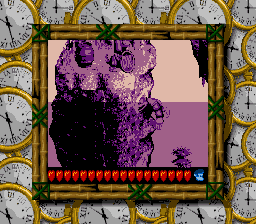 The Kongs will have to jump and throw the Steel Barrel at the stalagmite on the right and pray to Wrinkly that it ricochets back to hit Koin. 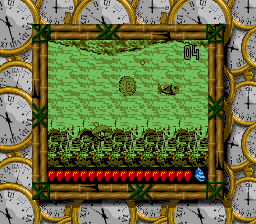 The prototype also has an extra Lurchin swimming here. 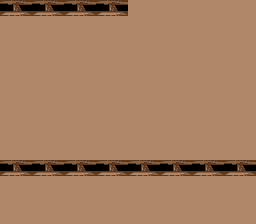 Barrel Boulevard level maps generated by Blaziken257’s Donkey Kong Land 2/III Map Dumper. 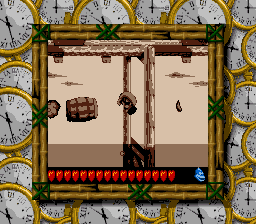 In Barrel Boulevard, three Bananas were later added to the retail version in the section just after the DK Coin. 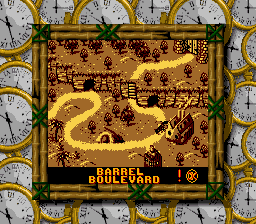 In Barrel Boulevard, shortly after getting the letter “G,” Bristles becomes stuck in the prototype. 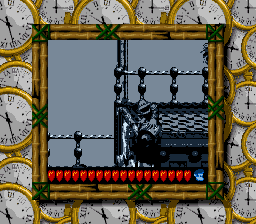 He just keeps turning back and forth in the corner. 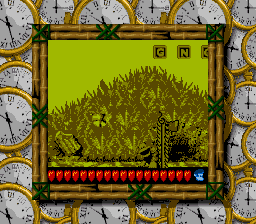 That poor porcupine. 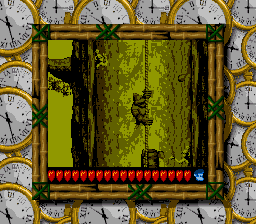 In Barrel Boulevard, if the Kongs head past the section with the two Bear Coins, they will find that the prototype’s rope does not drop off like in the retail version. 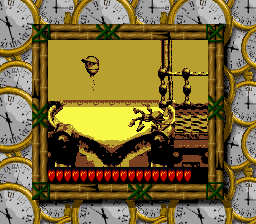 Also, a Banana does not hang overhead, nor does a Klasp “greet” the Kongs in the prototype. 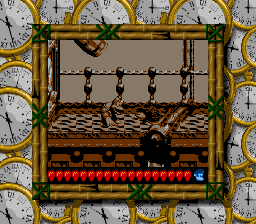 If the Kongs let go of the rope in the retail version, they will fall down next to the Blast Barrel. 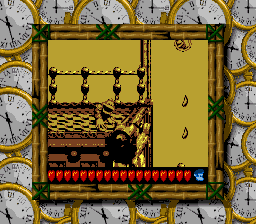 In the prototype, however, another rope with a Klasp catches them instead. 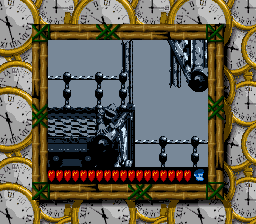 Let go of this second rope, and a third rope will catch the Kongs in the prototype. 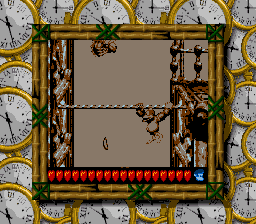 Let go of this third rope, and a fourth and final rope with another Klasp will catch the Kongs in the prototype. 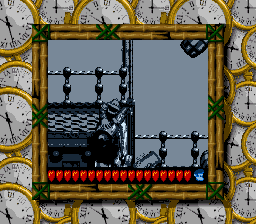 At this point, the Kongs will be able to see the Blast Barrel. 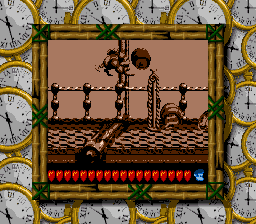 If they let go of the last rope and fall below or into the Blast Barrel towards the flagpole below, their hairy bodies will disappear completely and the “lose a life” music will play. 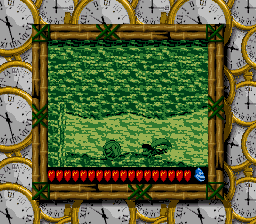 They will not actually lose a life, however, but this game-ruining bug will return them to the Lost World Map. 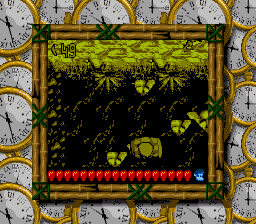 An exclamation mark will not be beside the level’s name even if both Bonus Barrel mini-games have been completed. 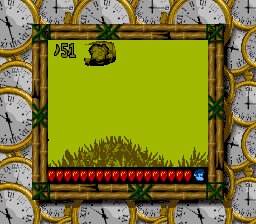 There is no possible way to get past this level in the prototype without using the all levels completed cheat (Up, Down, Left, Left, Down, Up, Right on the title screen). 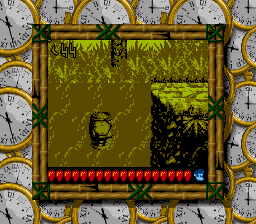 Returning to the Level Map after entering this cheat will cause the exclamation point to be added. K. Rool will refuse to let Dixie and Kiddy battle him again until after they have collected all six Watches and 42 DK Coins. 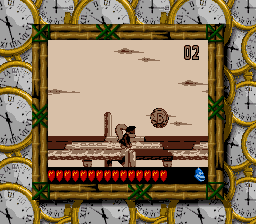 If the chimps come up short in the prototype, he will forget about the DK Coins and will only tell them about the Watches. K. Rool has a real fascination with Watches in the prototype, as again he only fixates on them even after the Kongs go through all the trouble of finding the DK Coins. 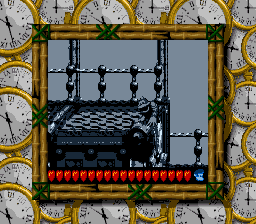 Finish the time trials, and the Kongs will be rewarded with a 103% trophy. 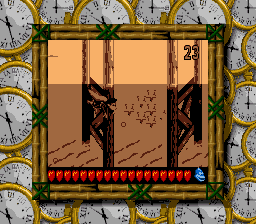 Look closely at the exclamation point. It was later moved so as to not overlap with the comma. 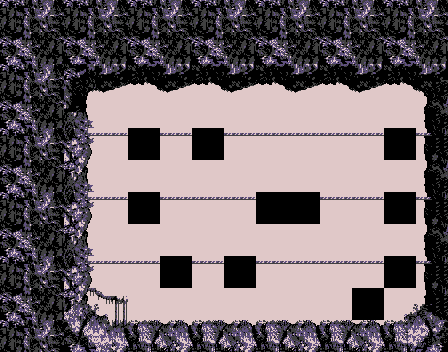 Finally, deep within the tile graphics, some discarded font leftovers still remain in the prototype’s game data.